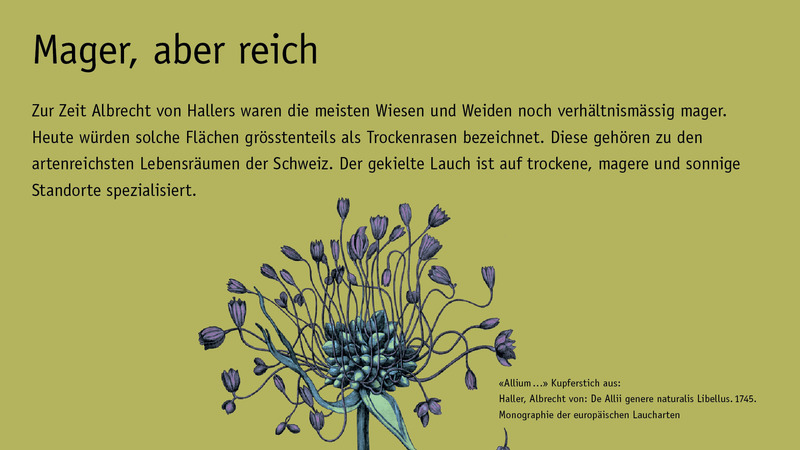 Based on the special exhibition “Hallers (G)Arten” in the Botanical Garden of Bern (BOGA) from 18 April to 24 October 2008. 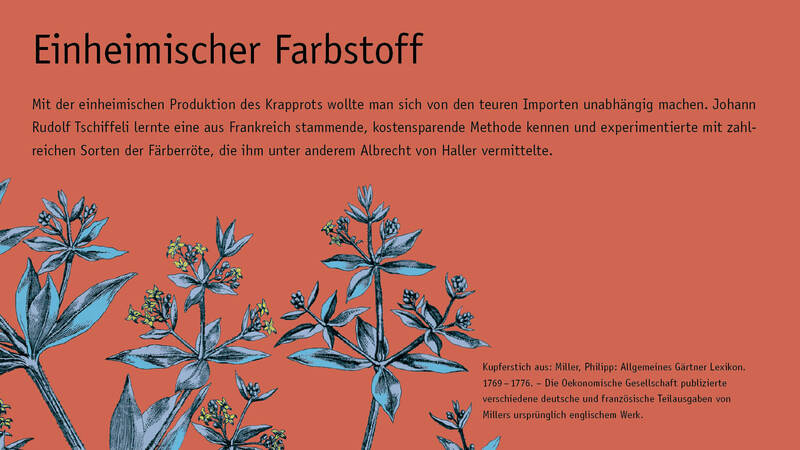 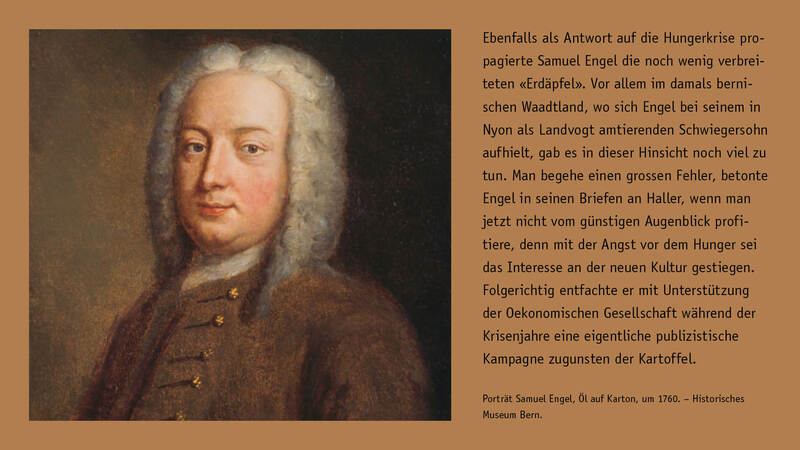 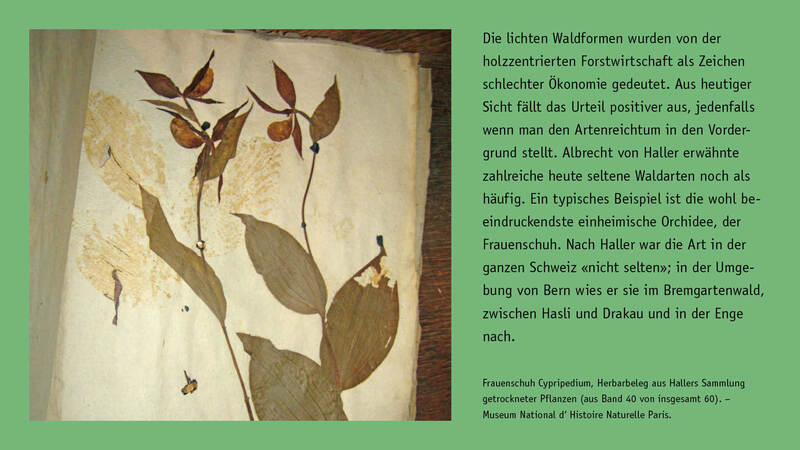 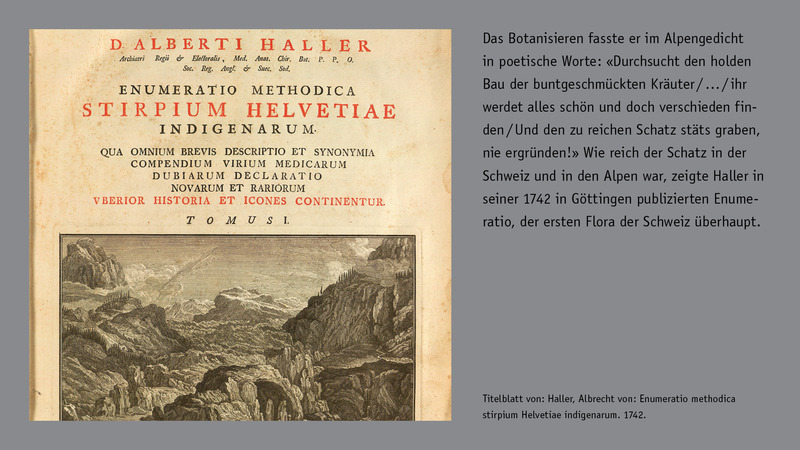 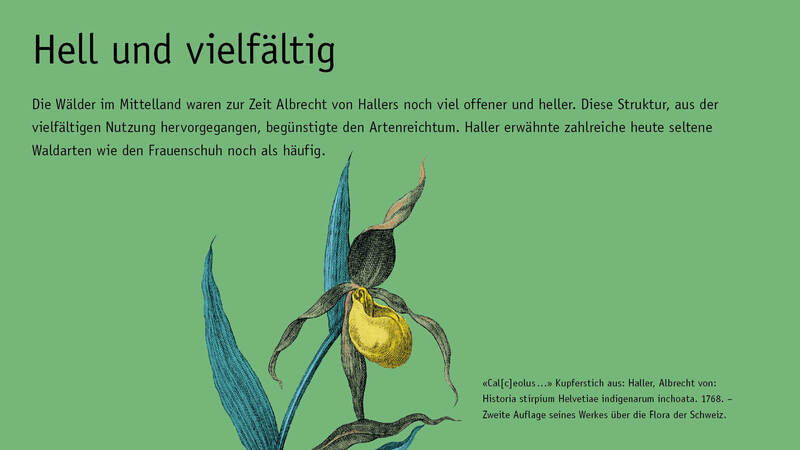 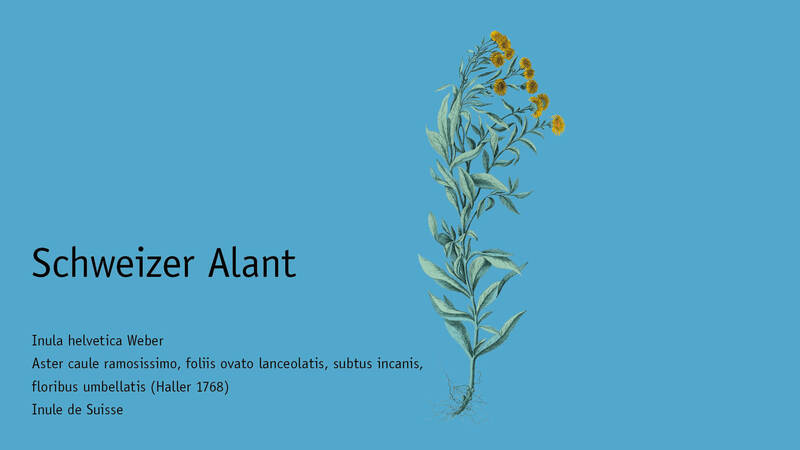 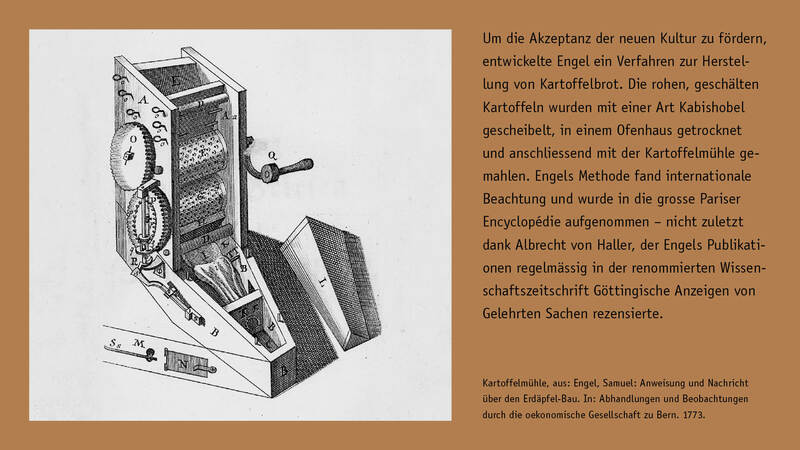 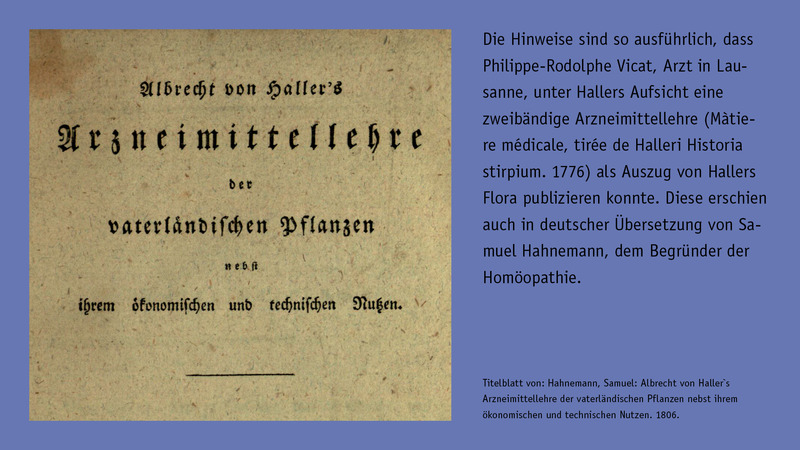 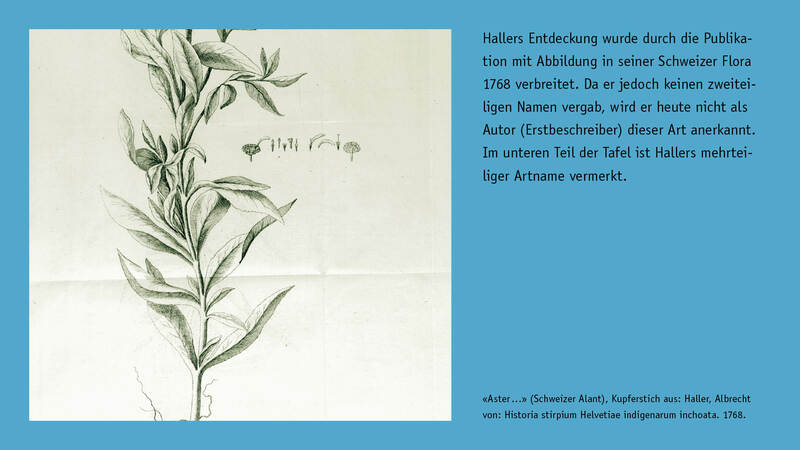 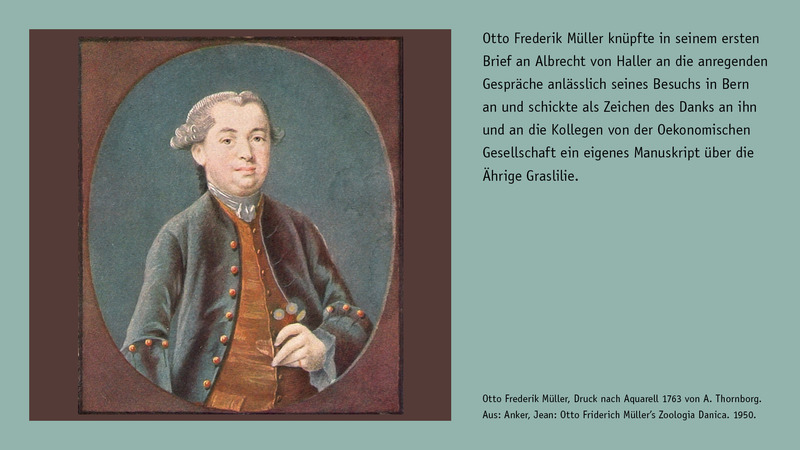 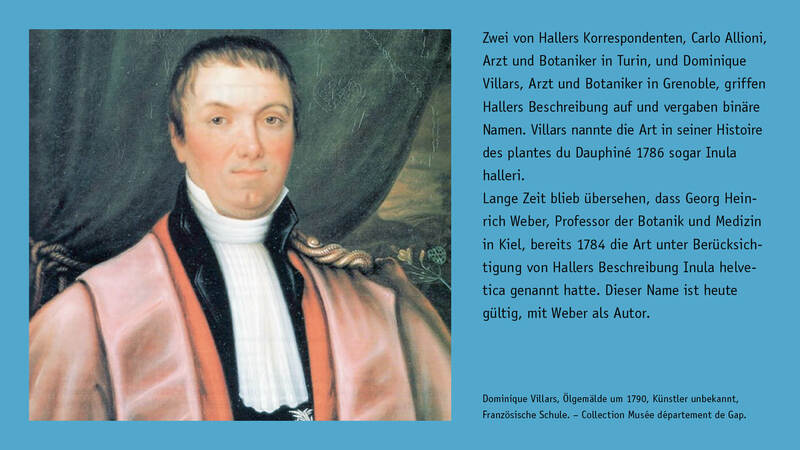 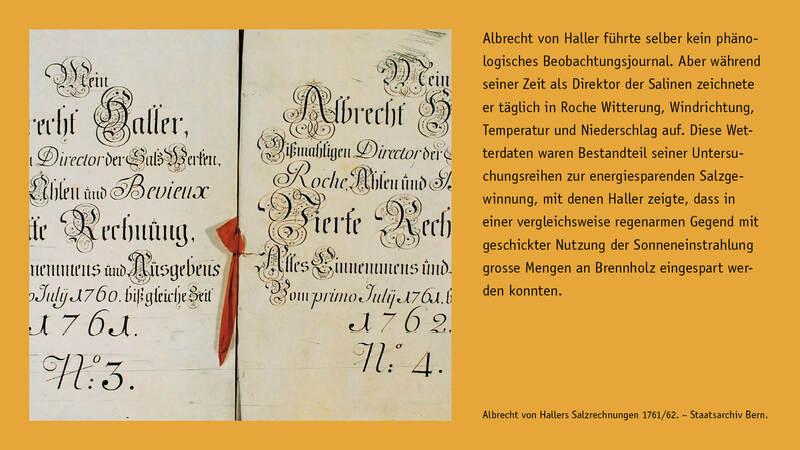 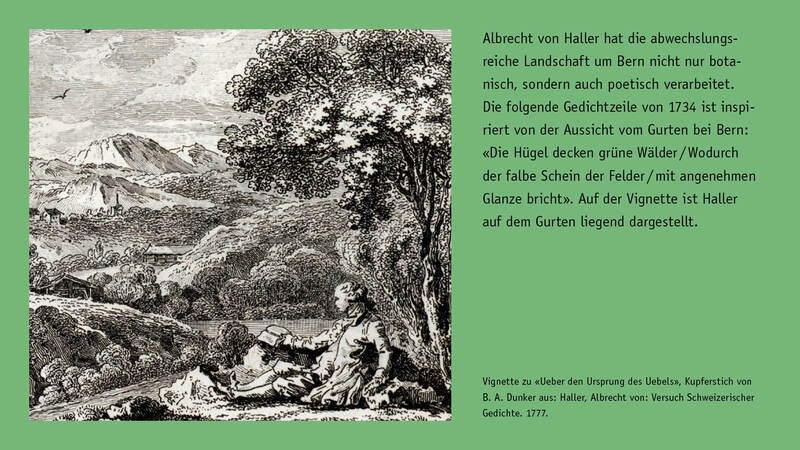 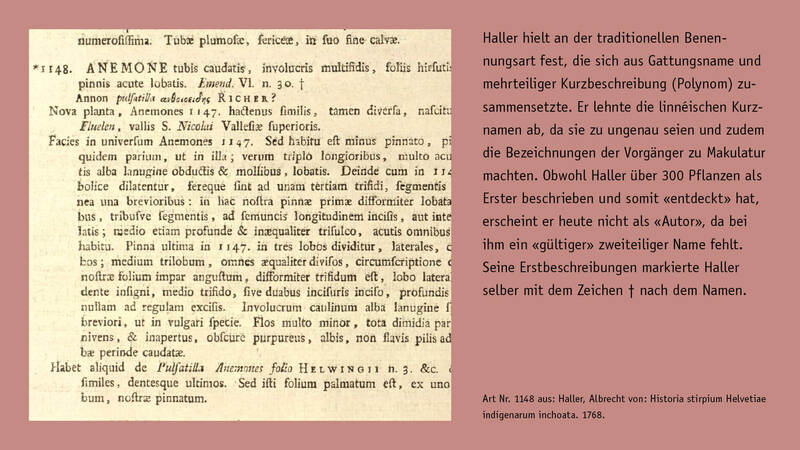 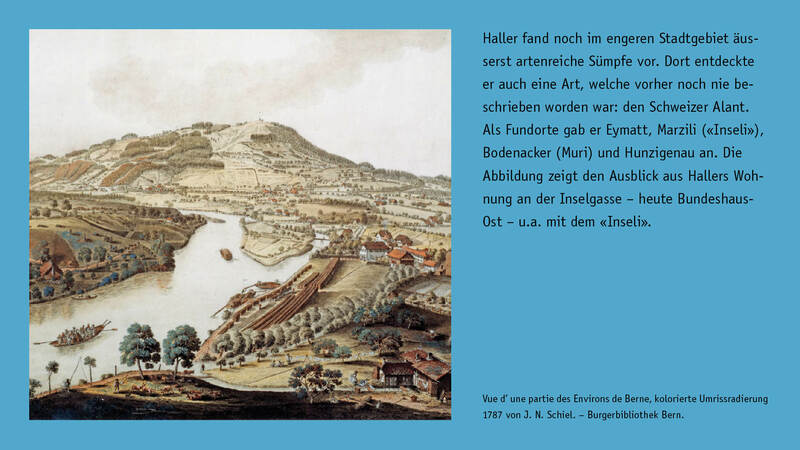 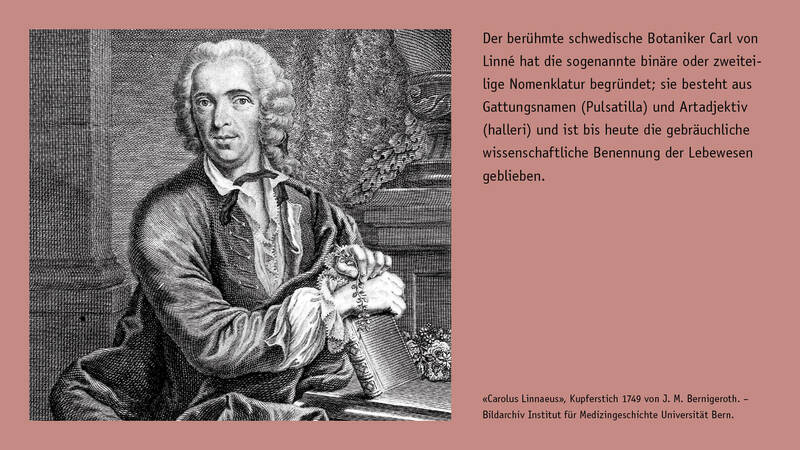 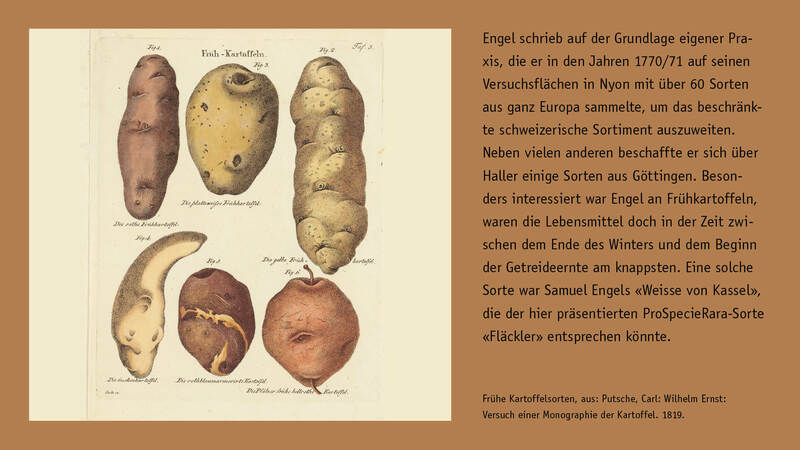 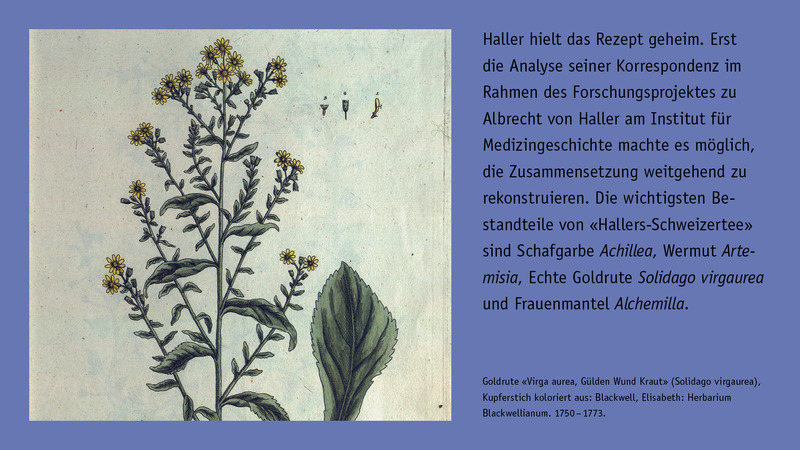 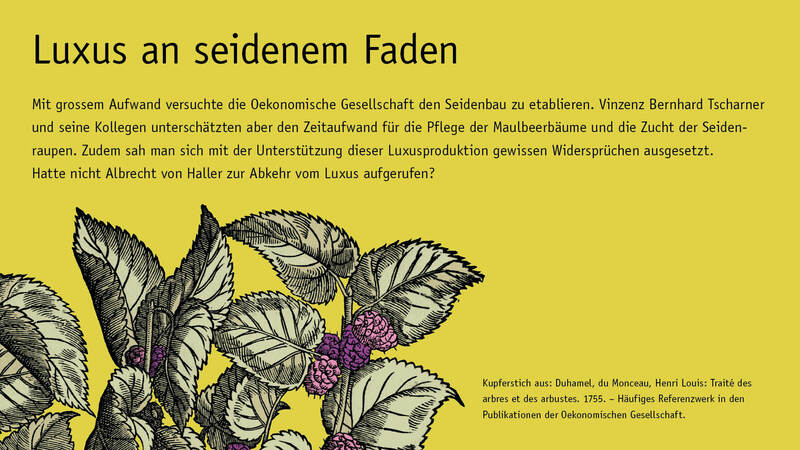 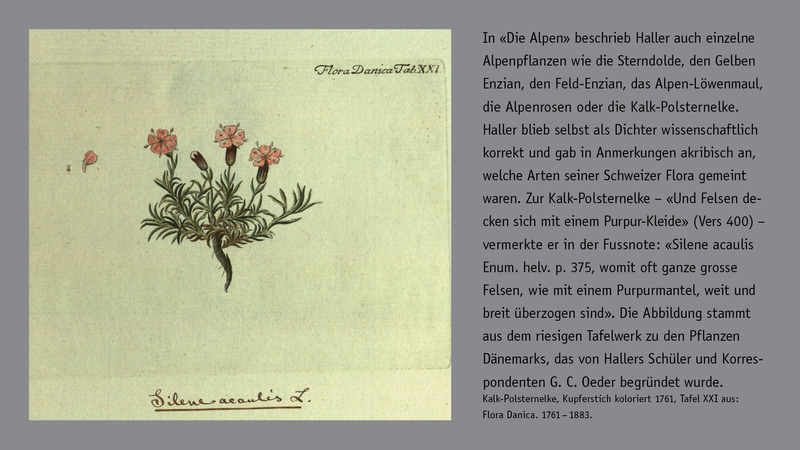 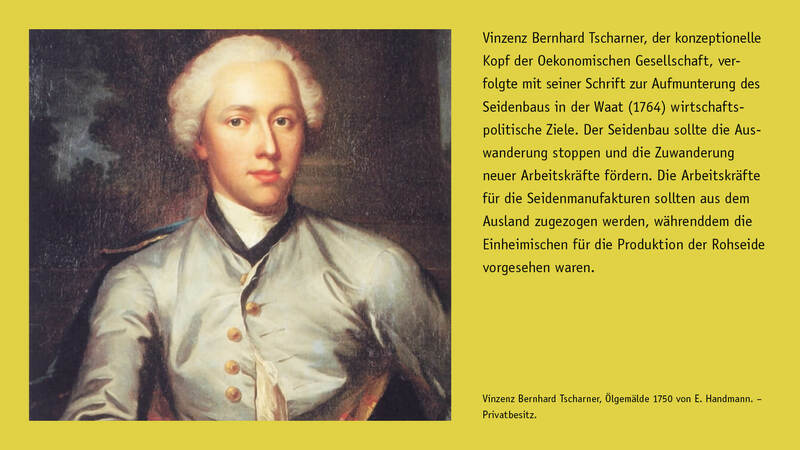 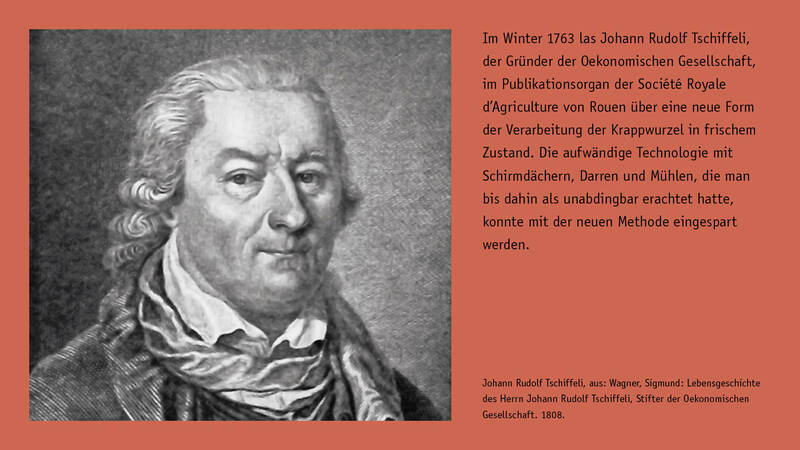 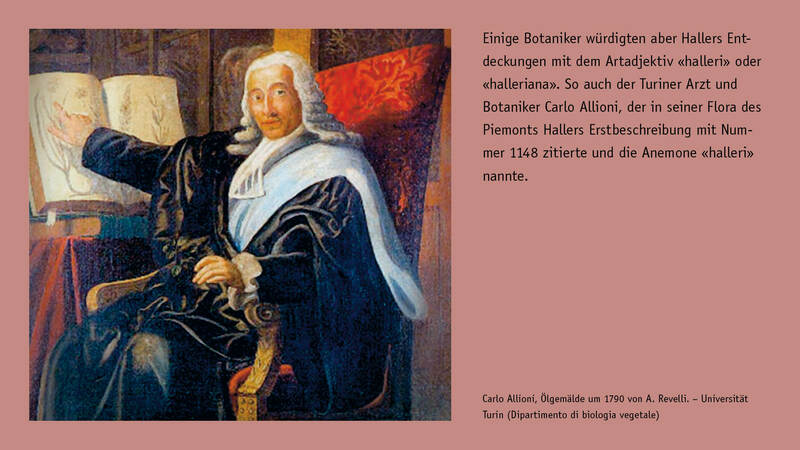 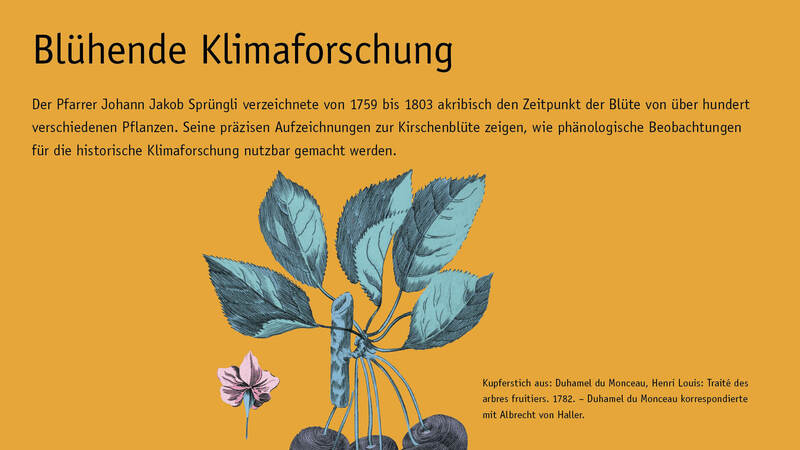 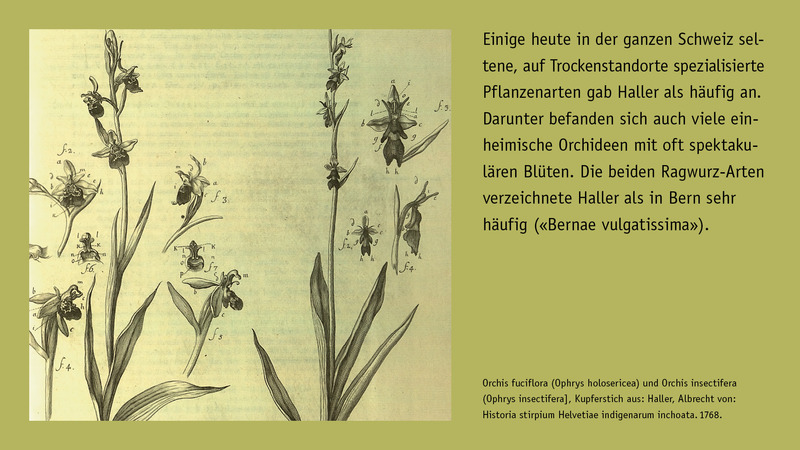 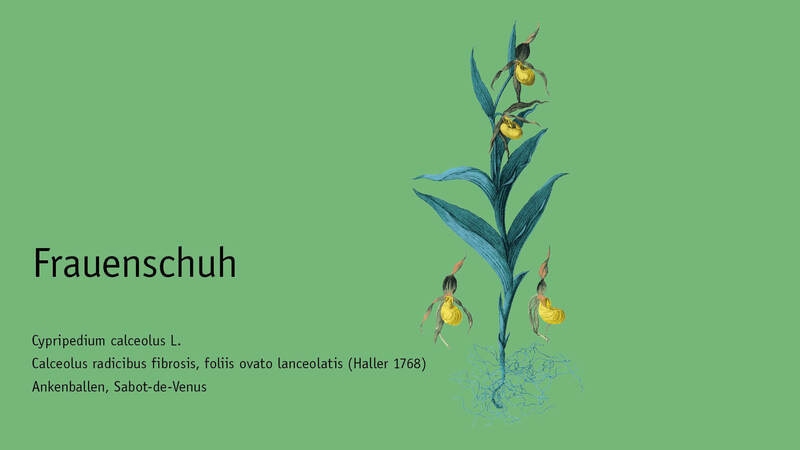 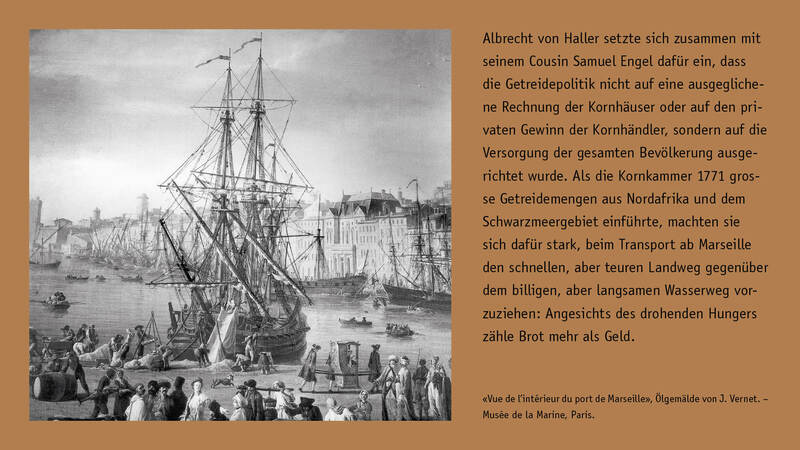 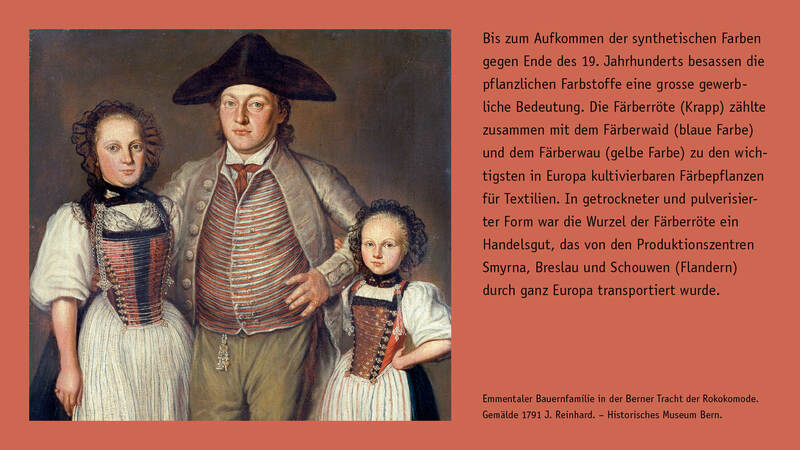 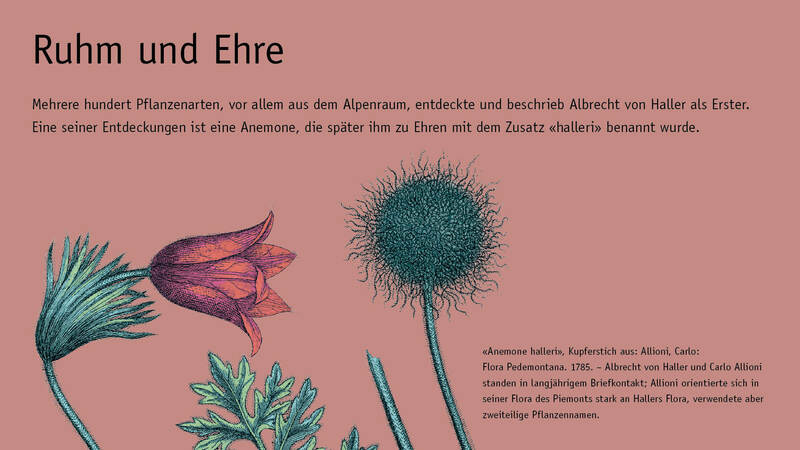 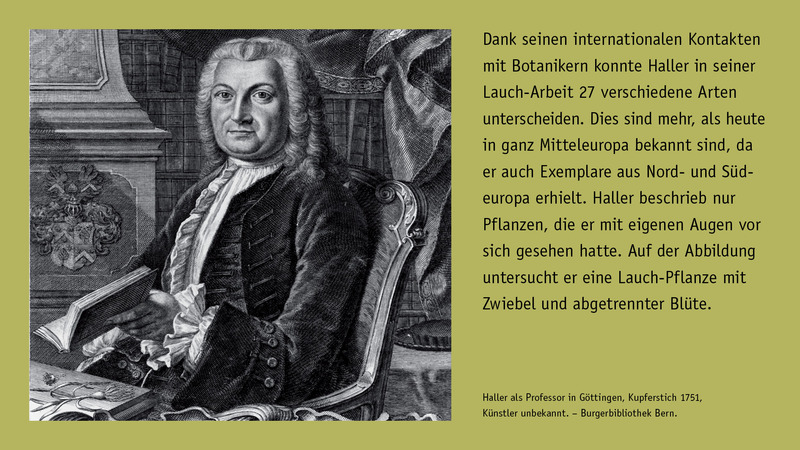 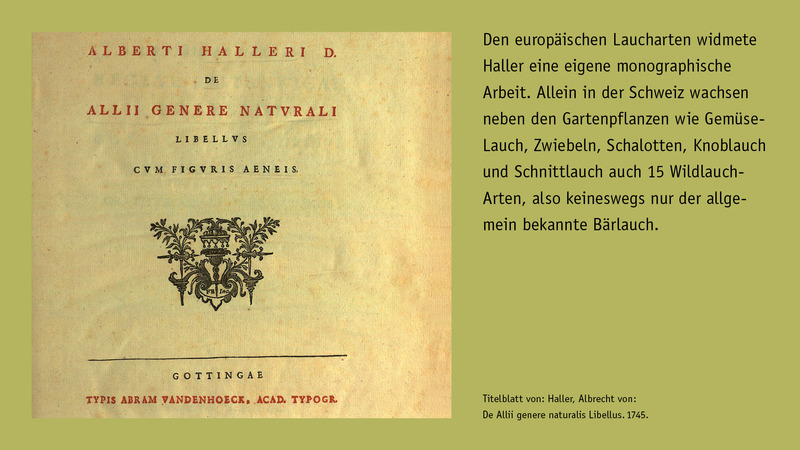 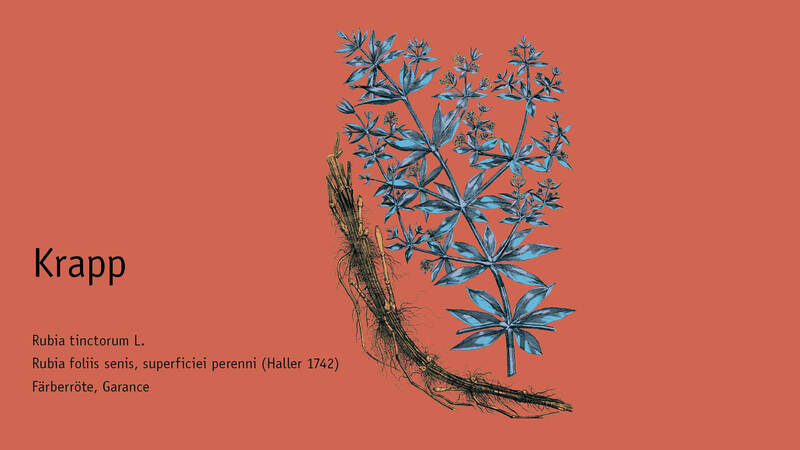 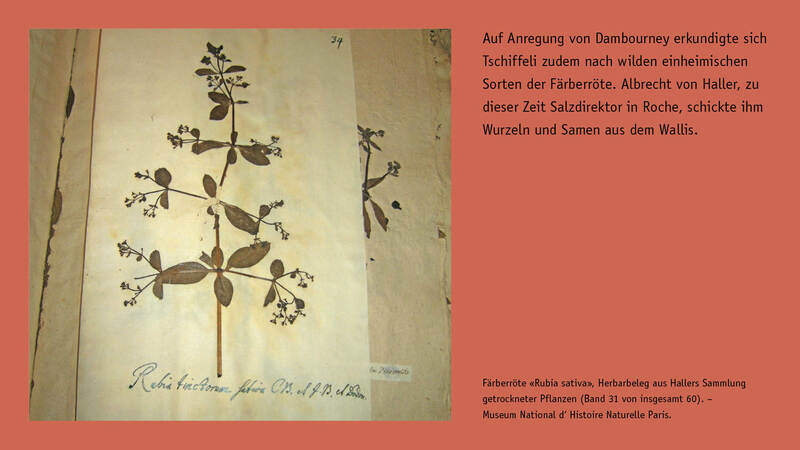 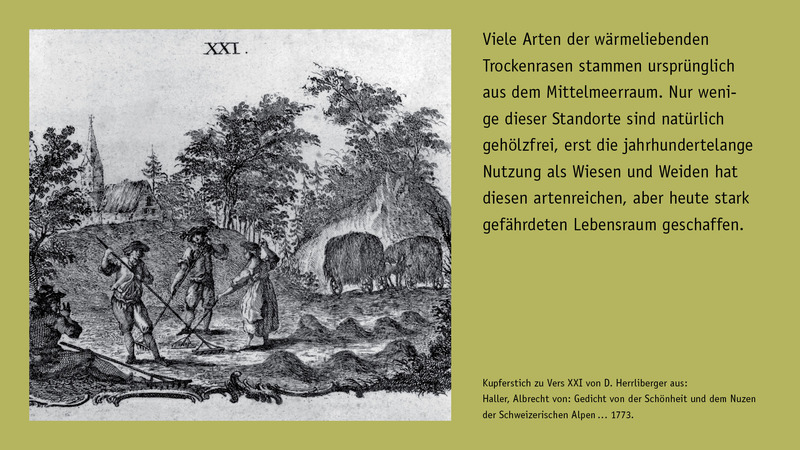 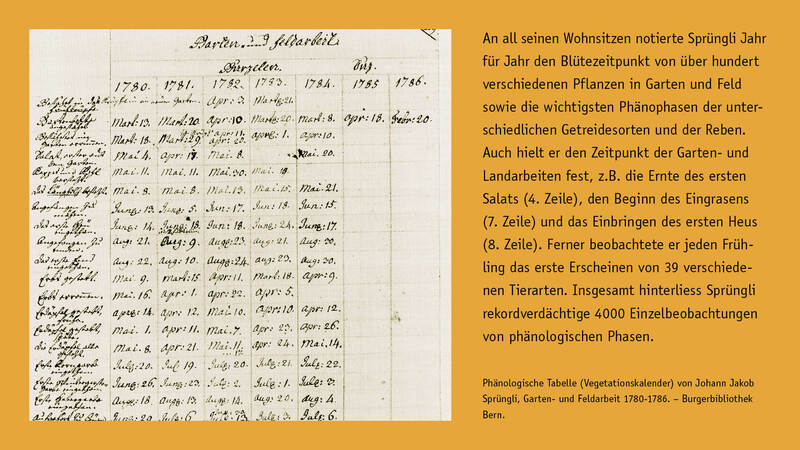 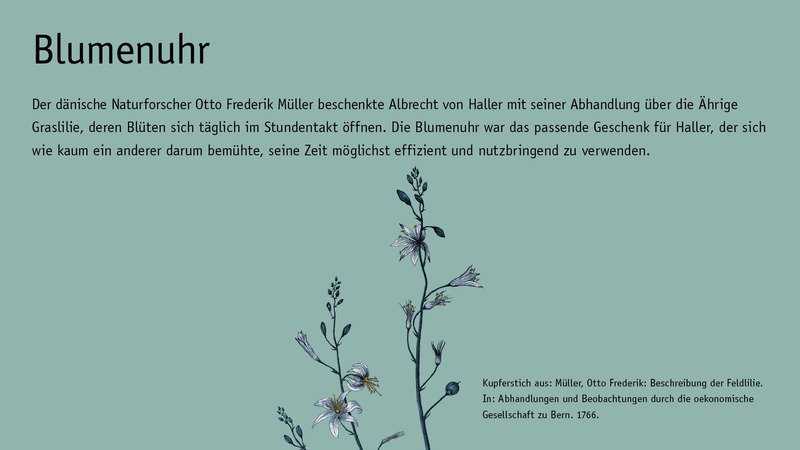 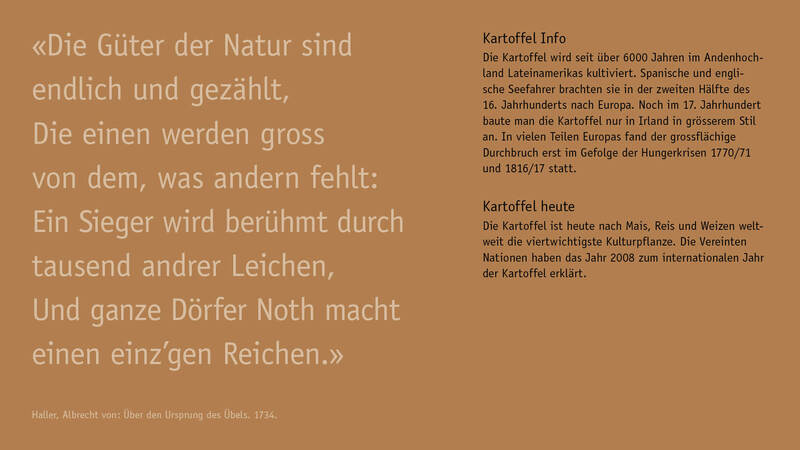 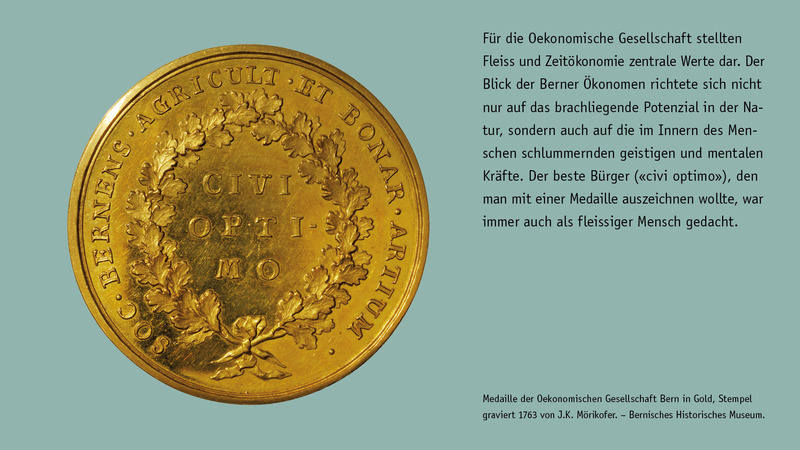 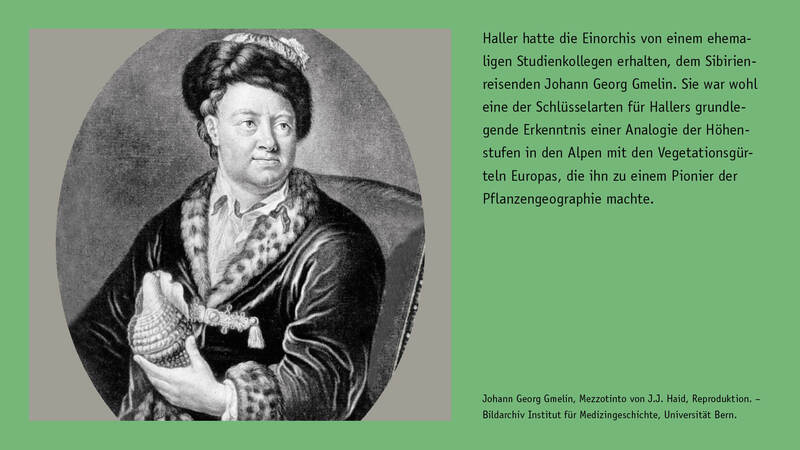 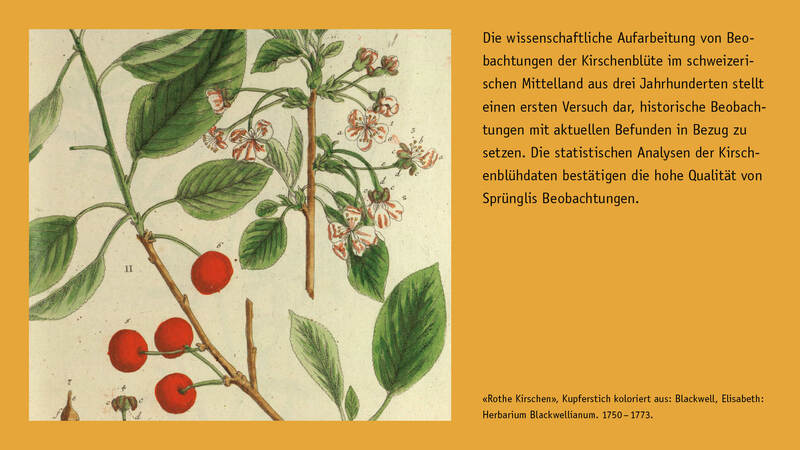 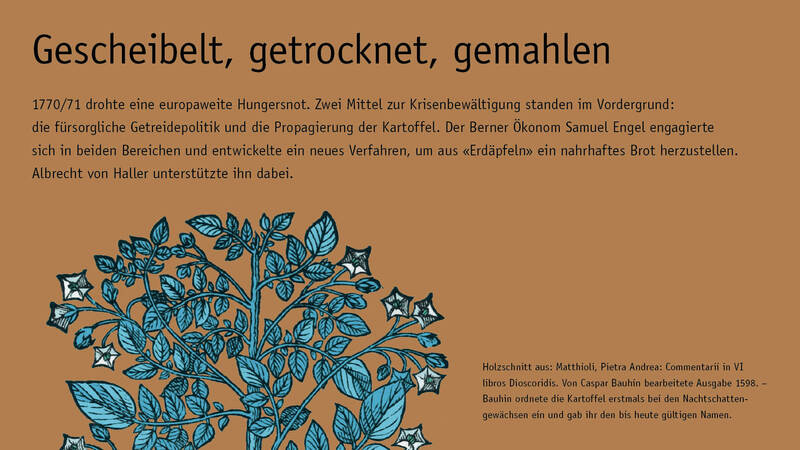 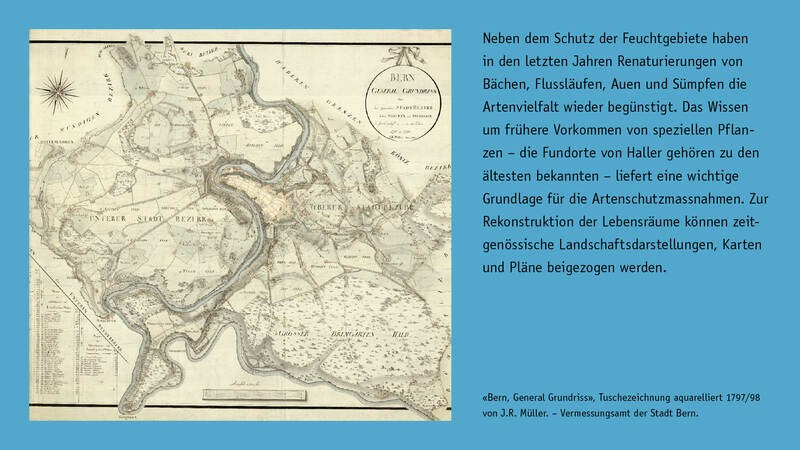 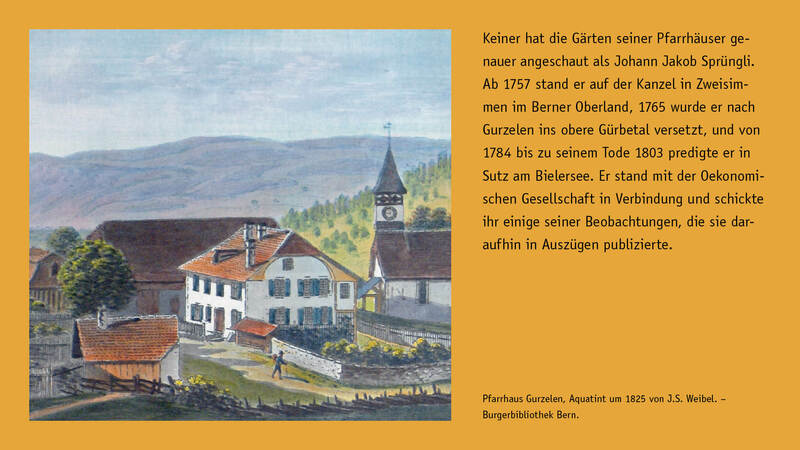 The German title is a wordplay based on the similarity of the words for garden (Garten) and species (Arten), alluding to Haller’s endeavours at the botanical garden in Göttingen and his research towards improving agricultural and horticultural practices, as well as his work on comprehensive flora and on individual species. 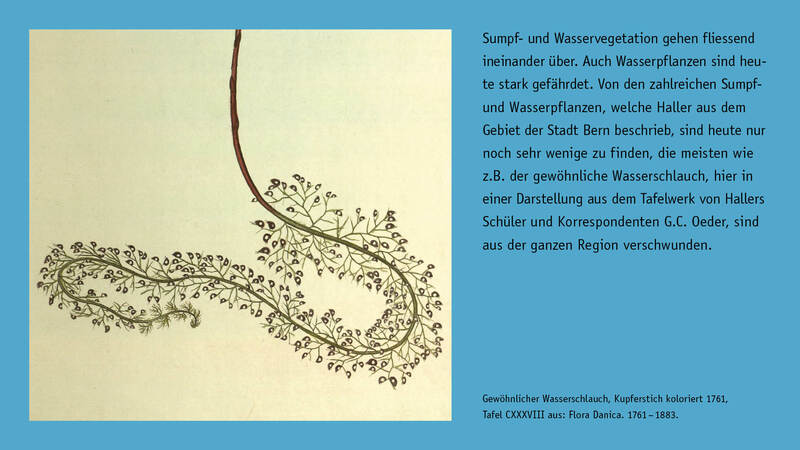 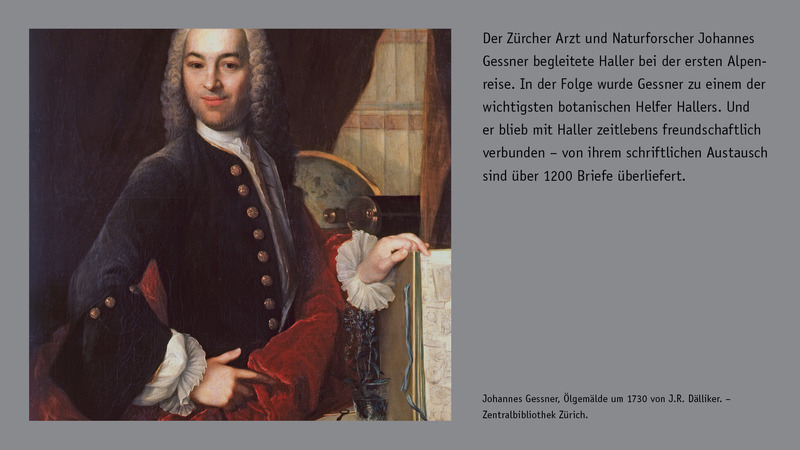 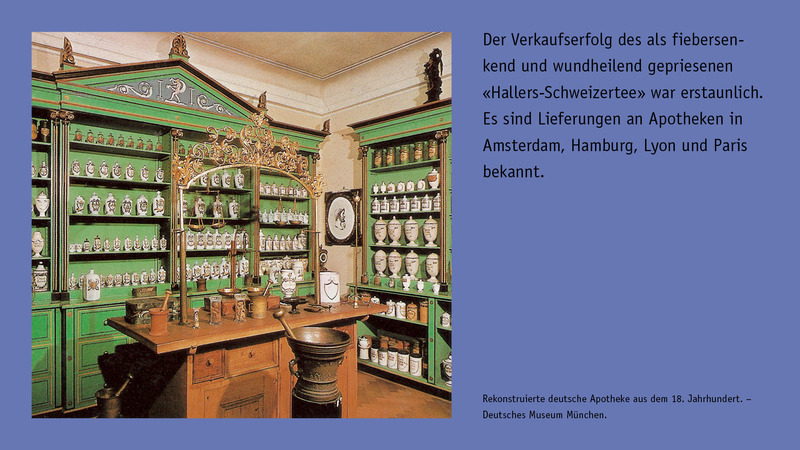 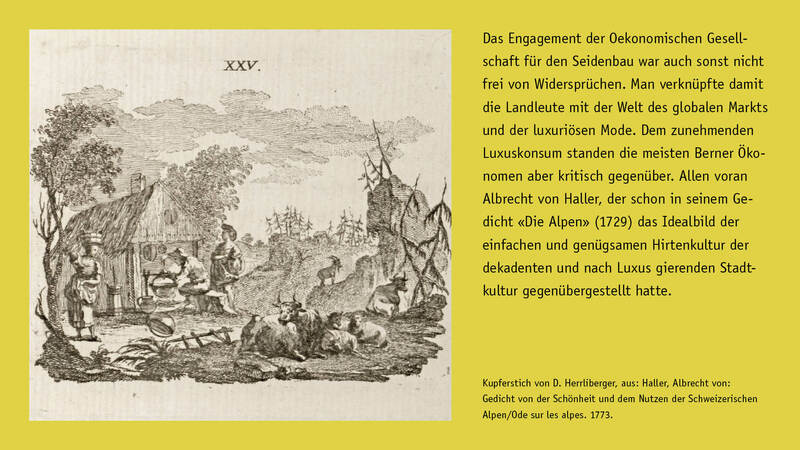 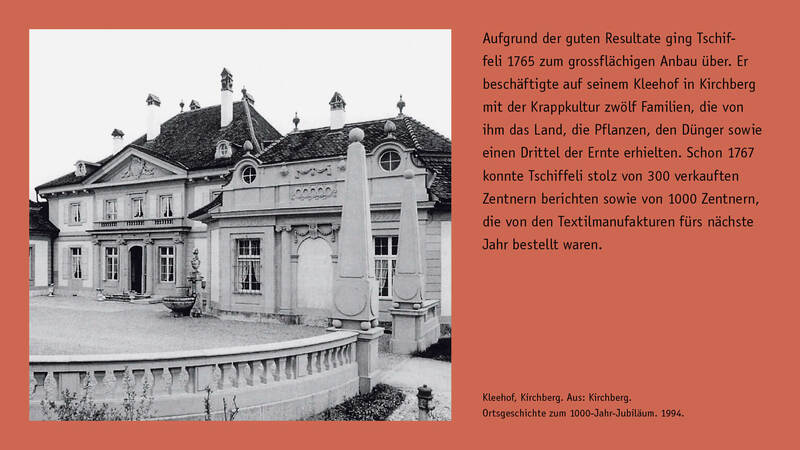 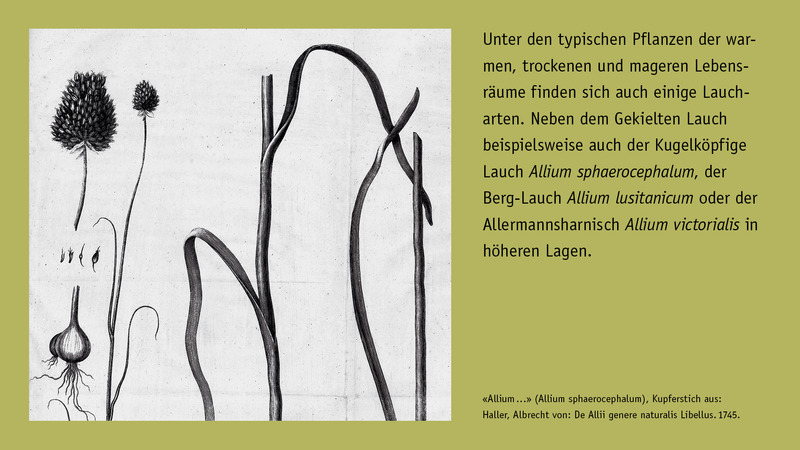 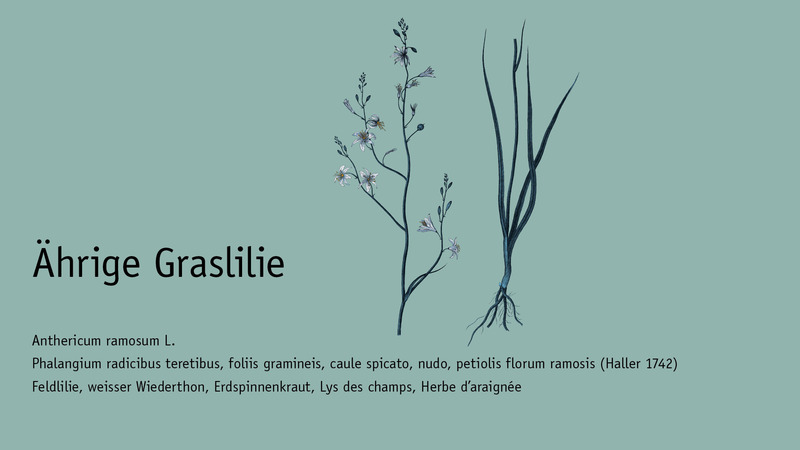 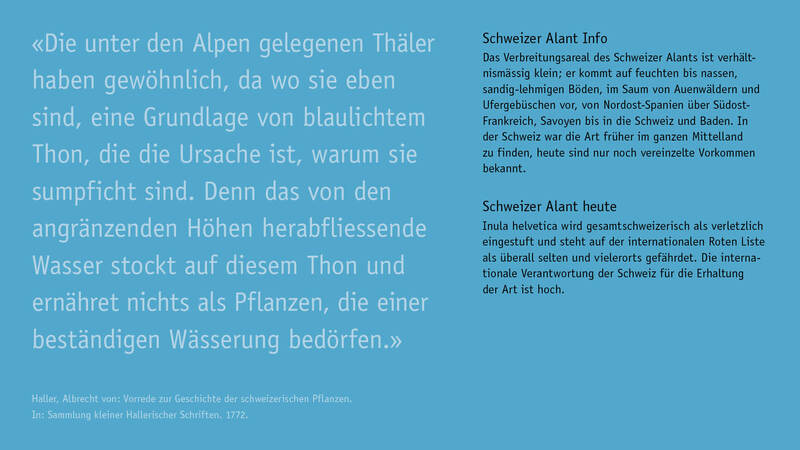 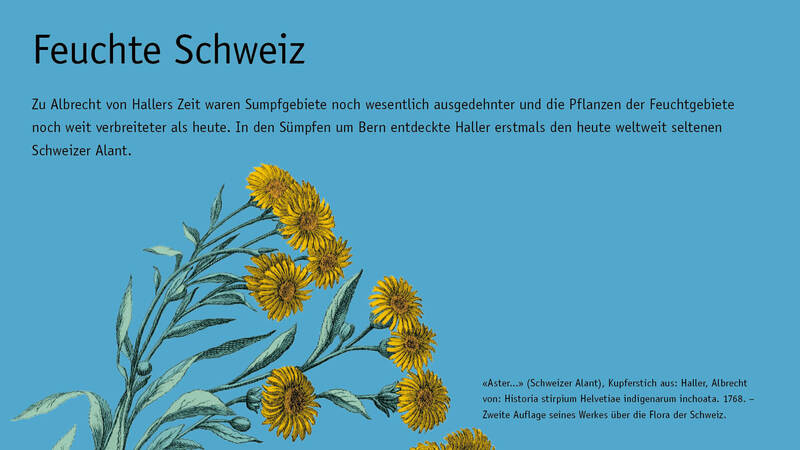 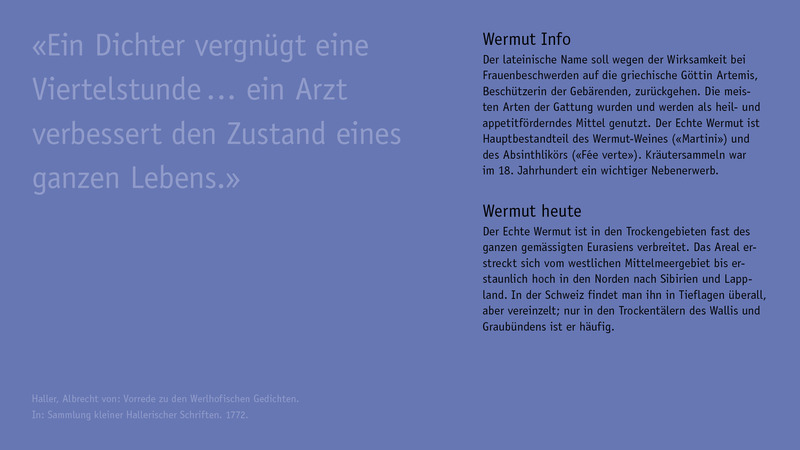 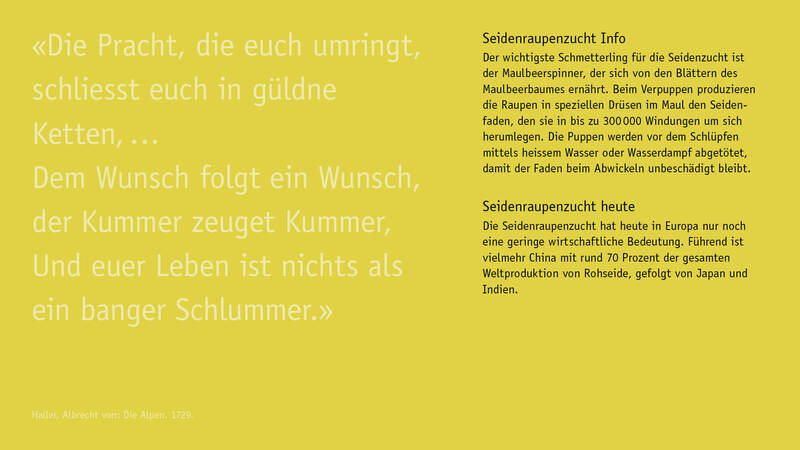 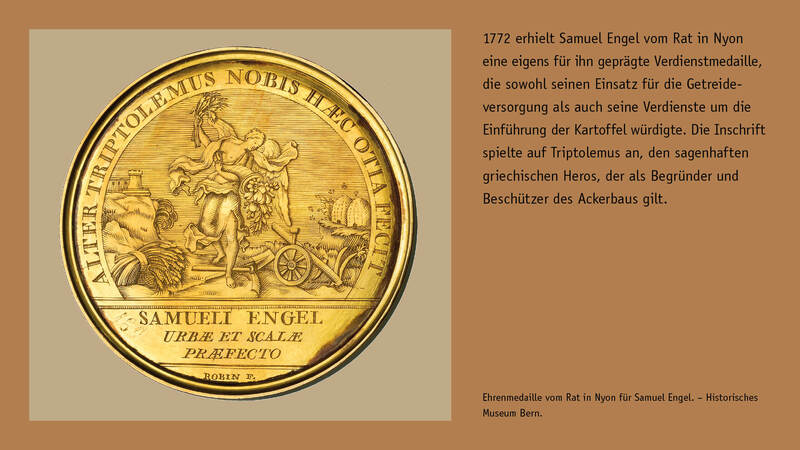 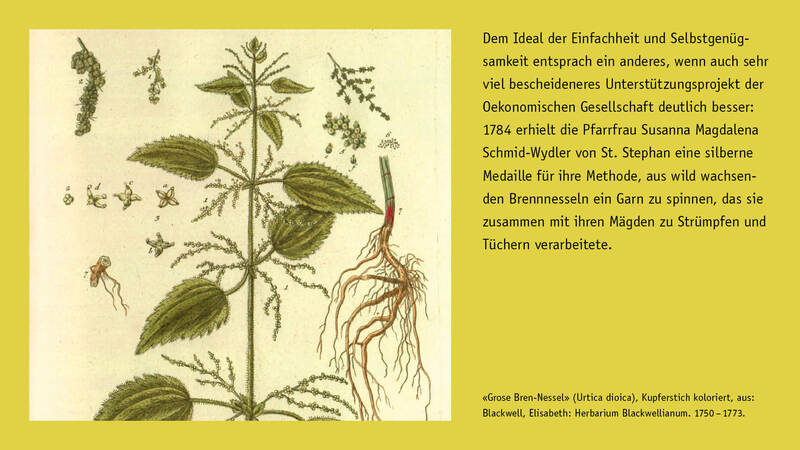 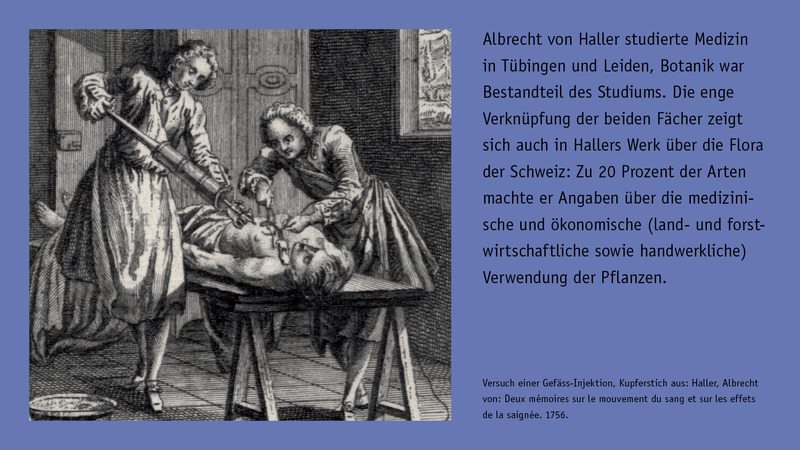 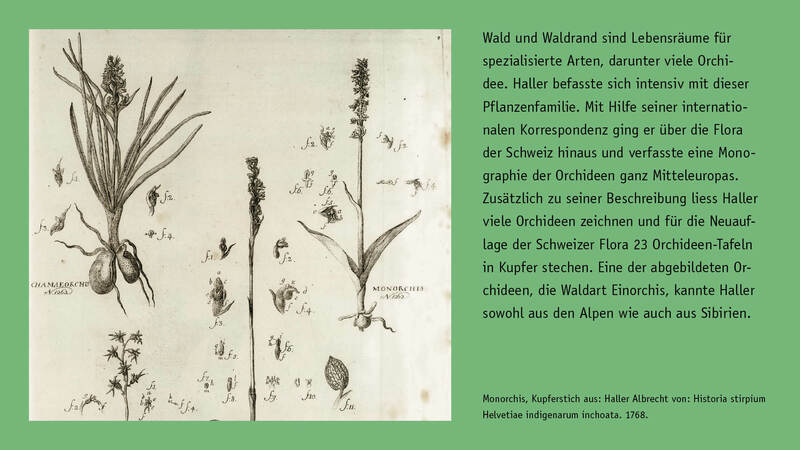 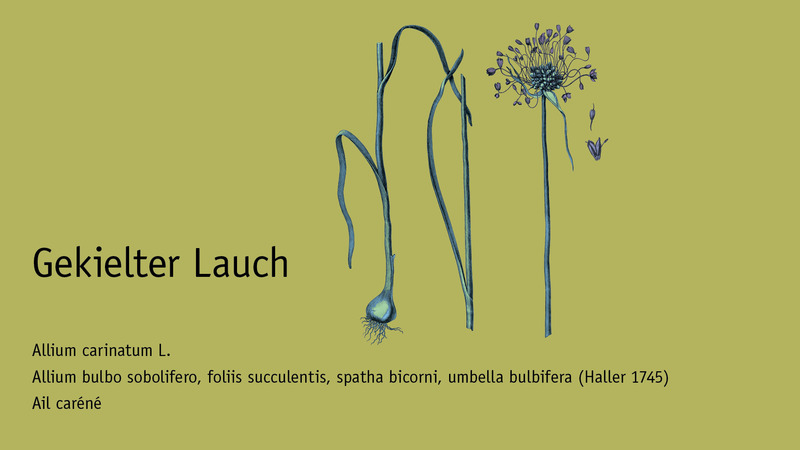 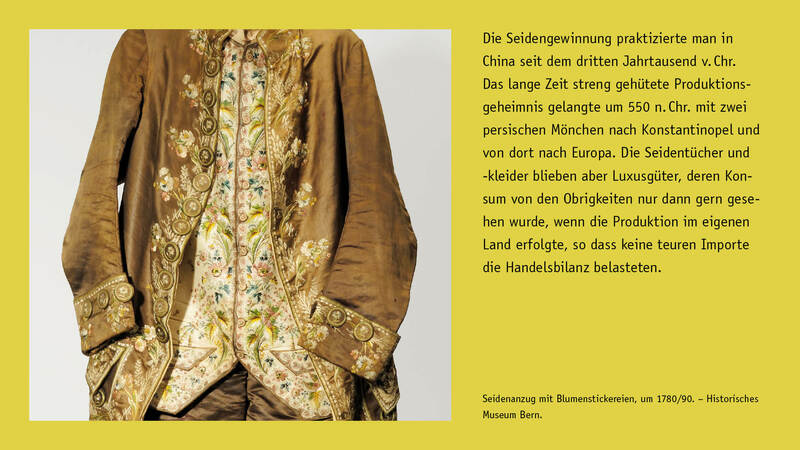 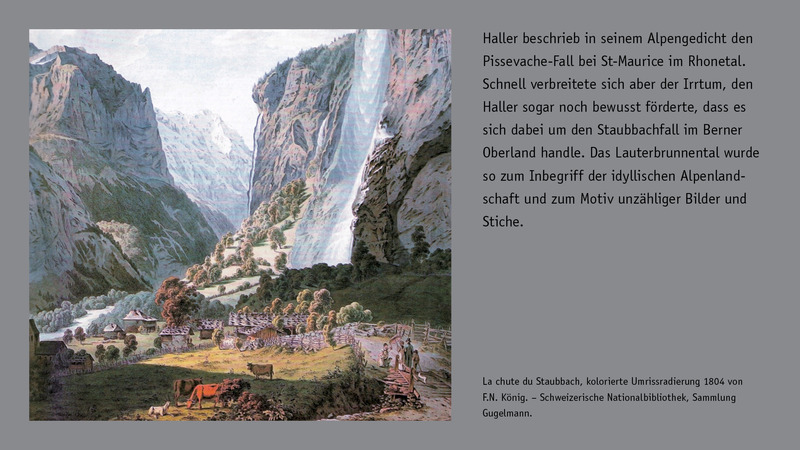 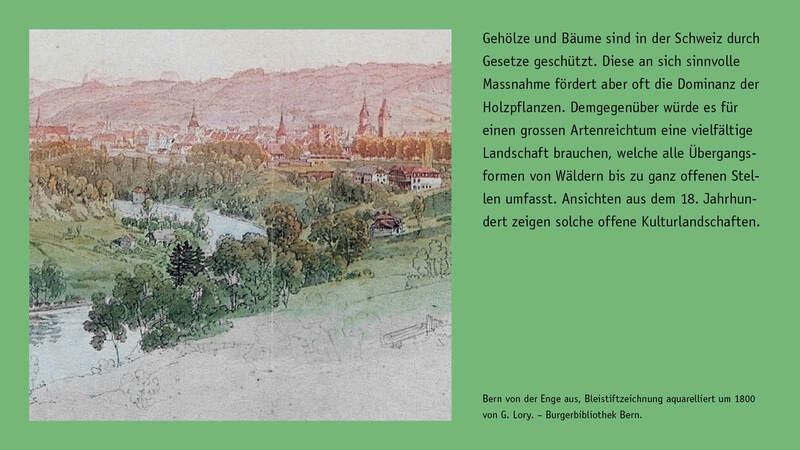 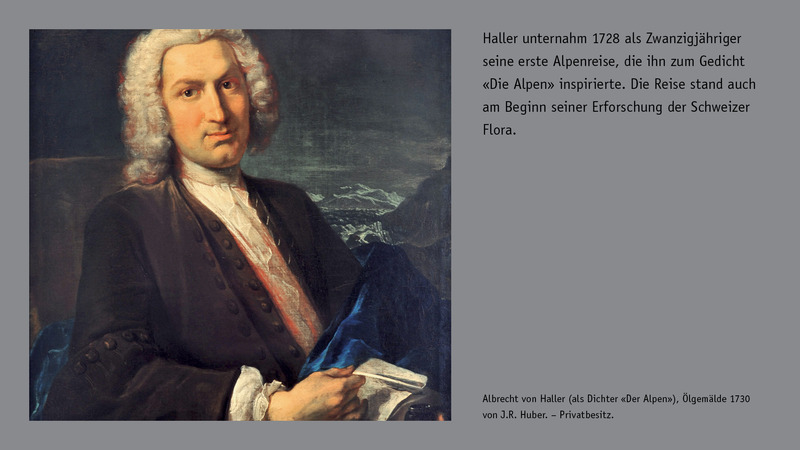 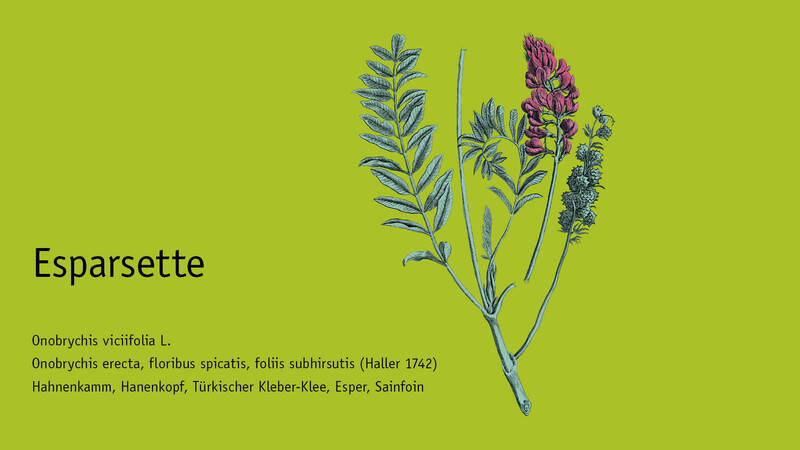 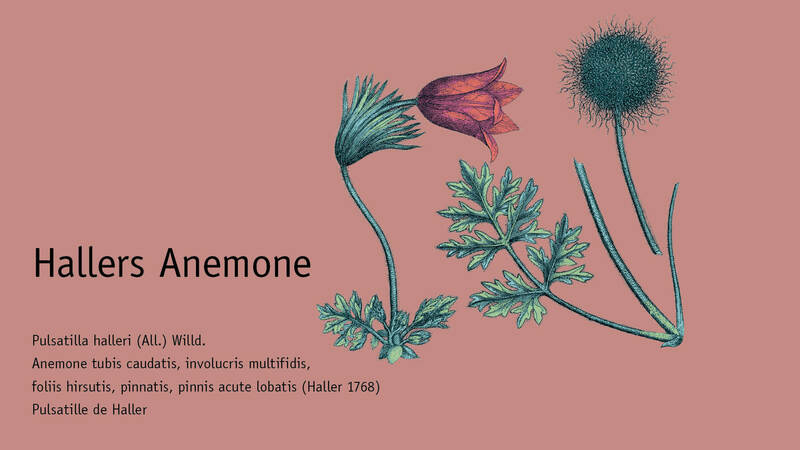 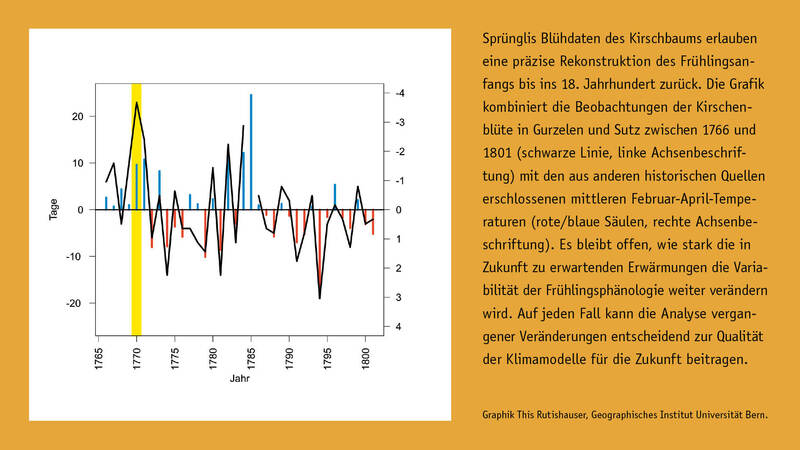 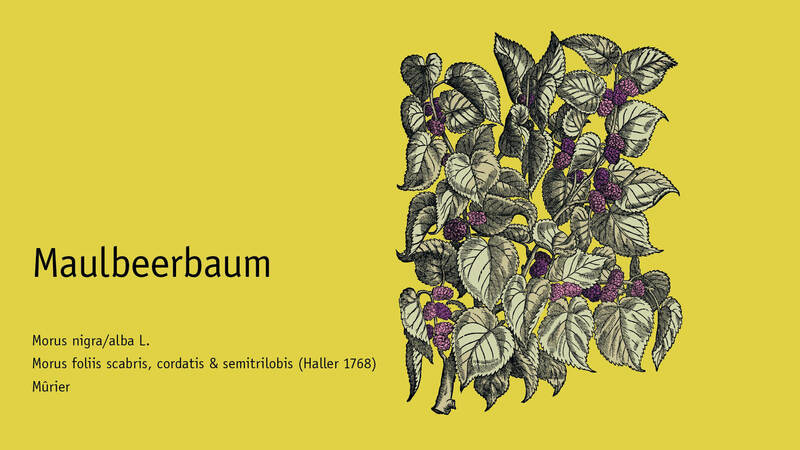 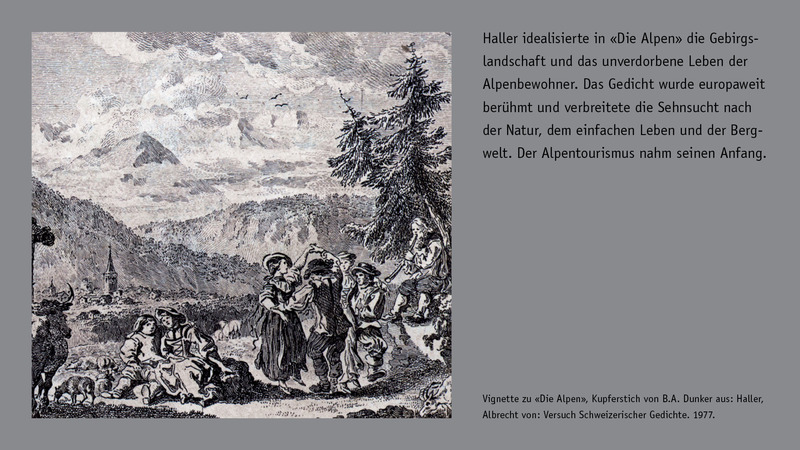 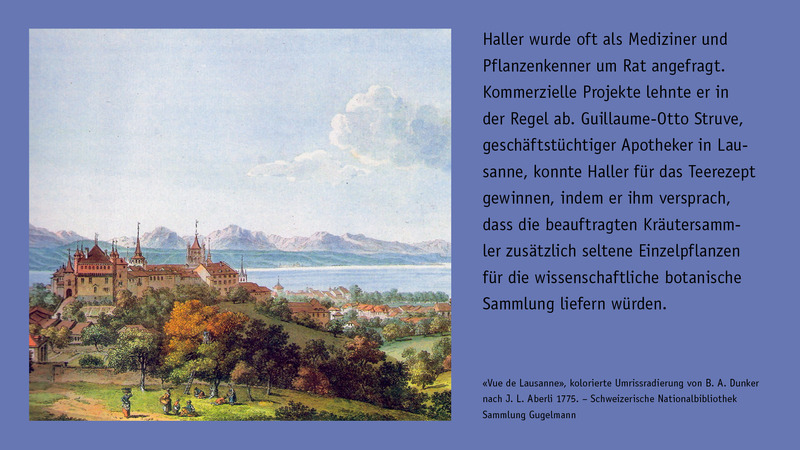 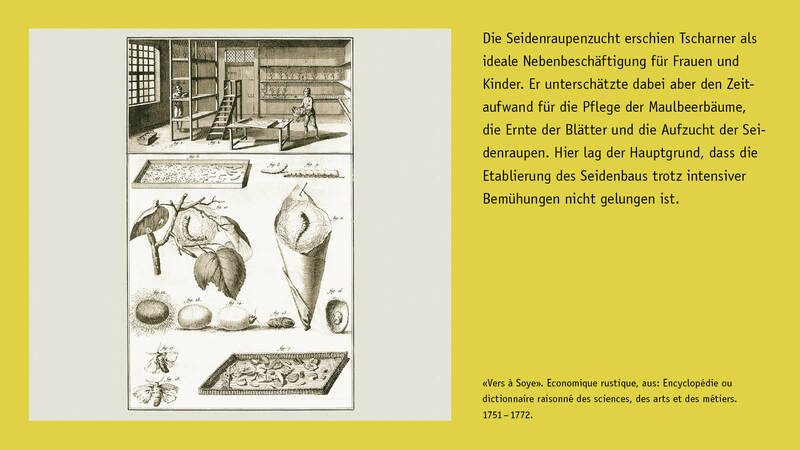 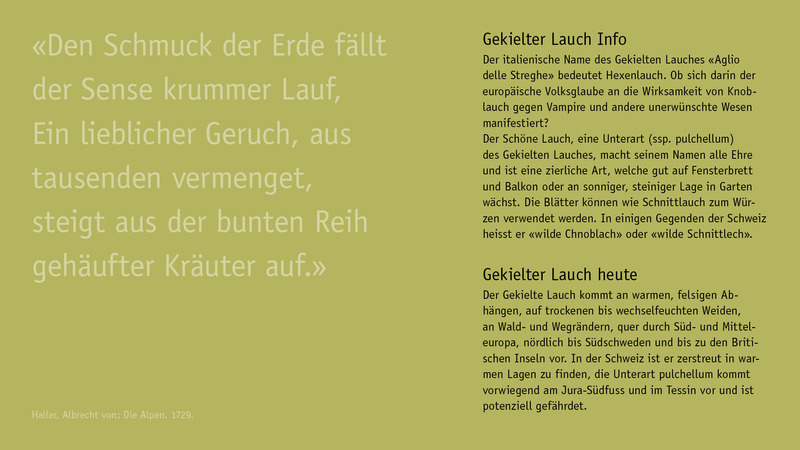 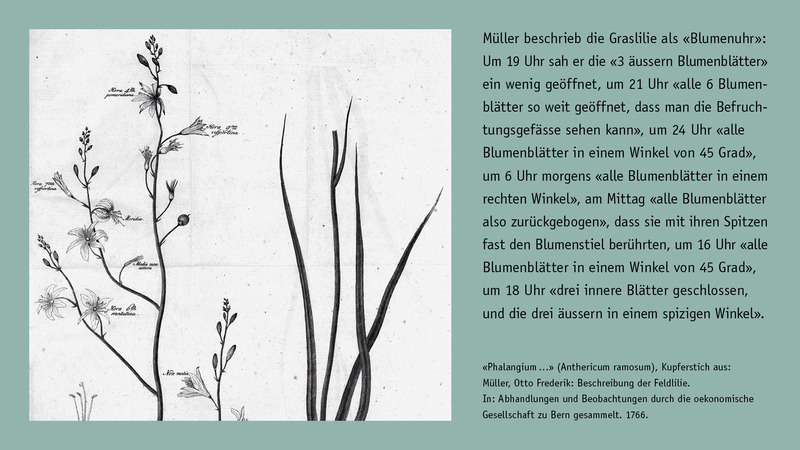 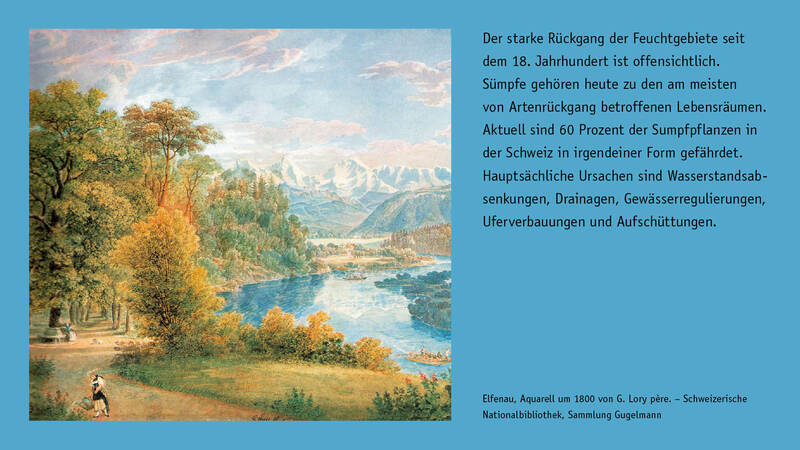 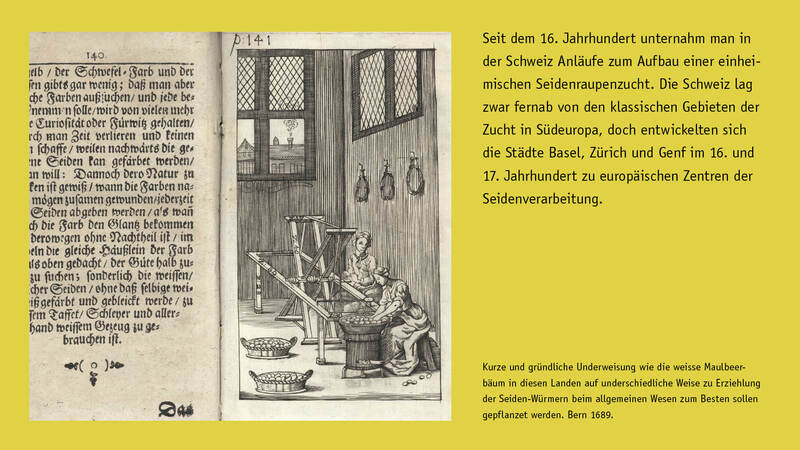 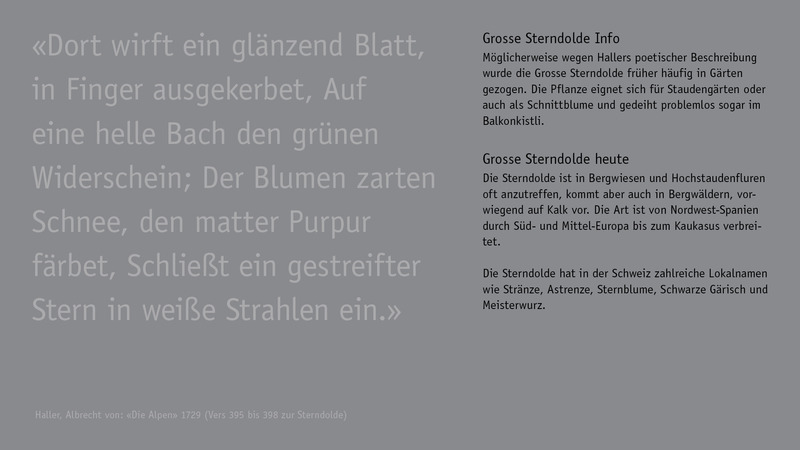 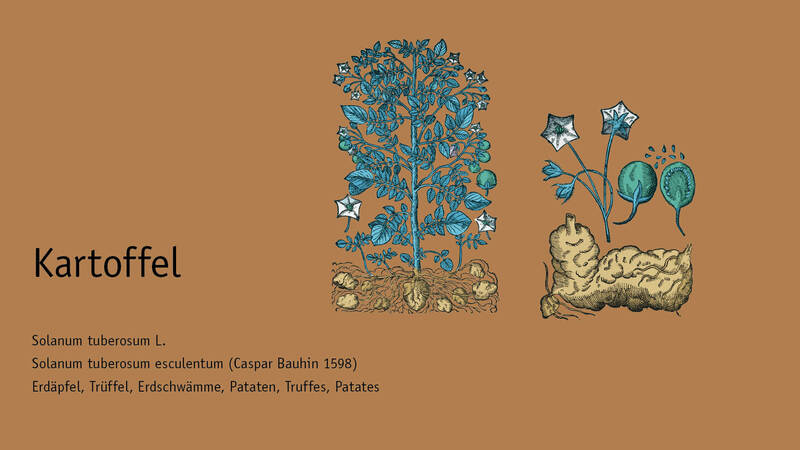 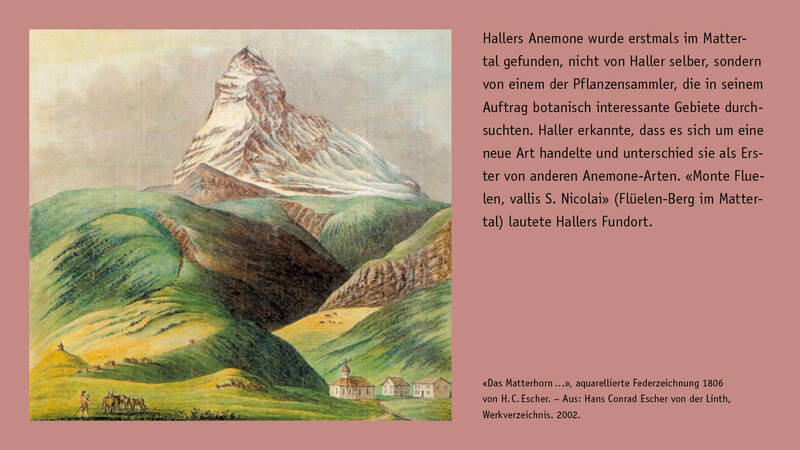 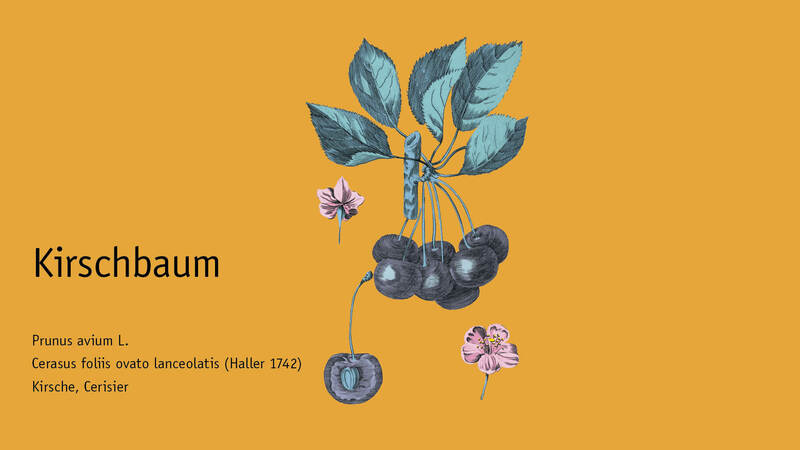 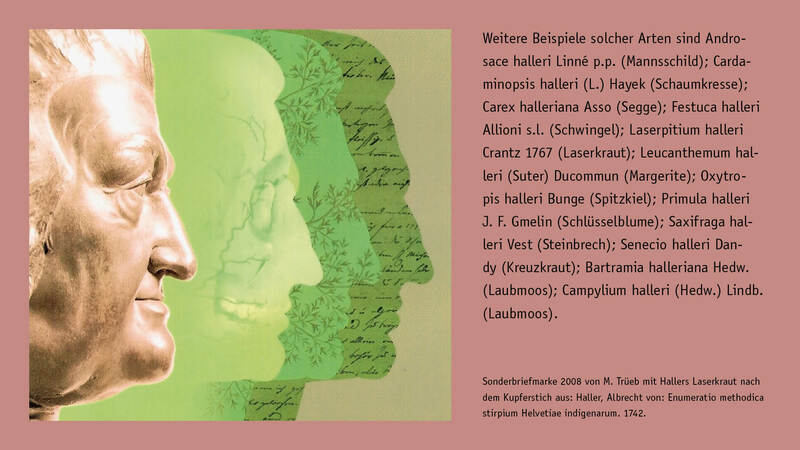 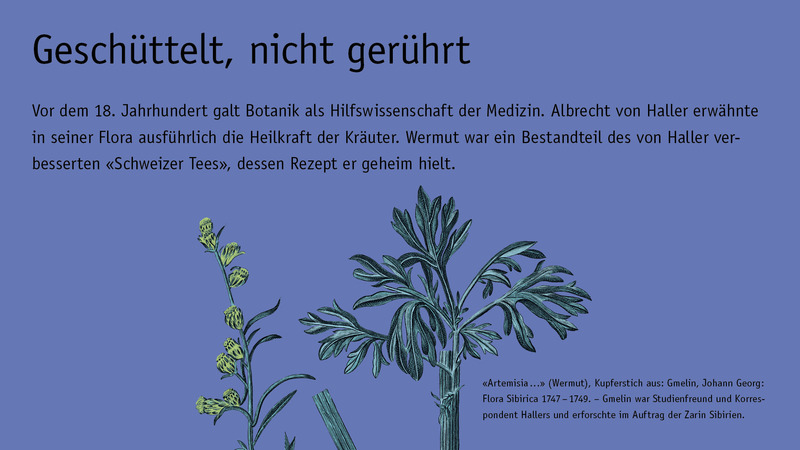 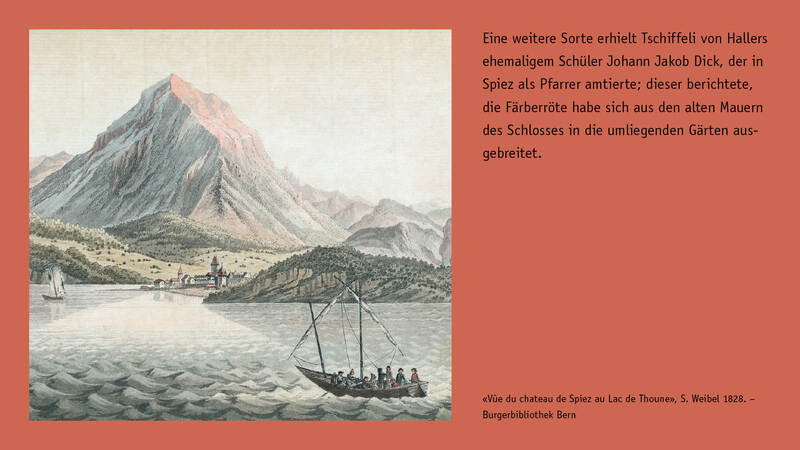 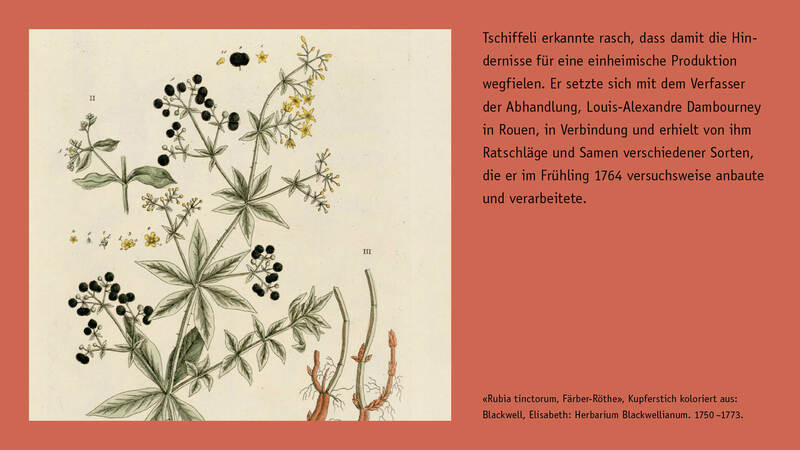 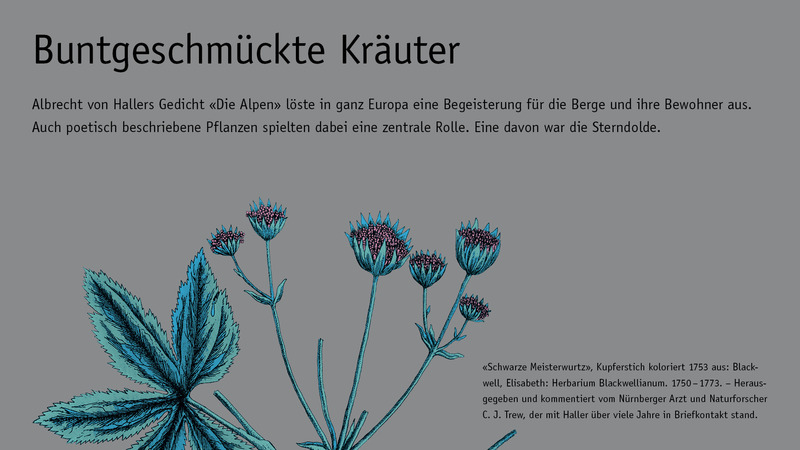 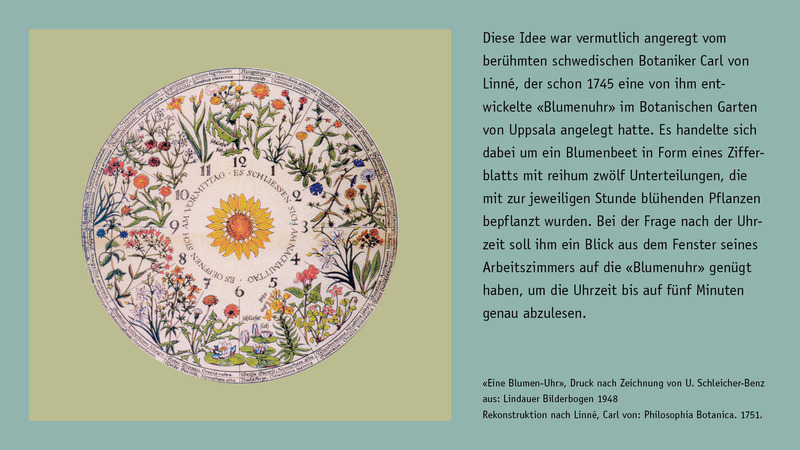 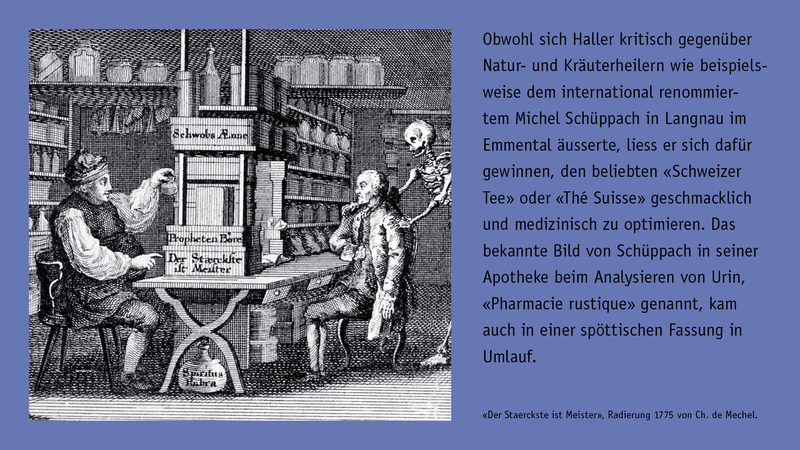 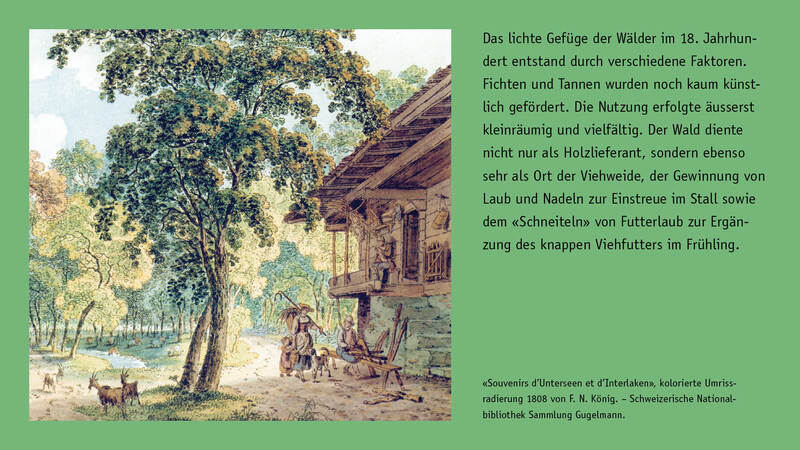 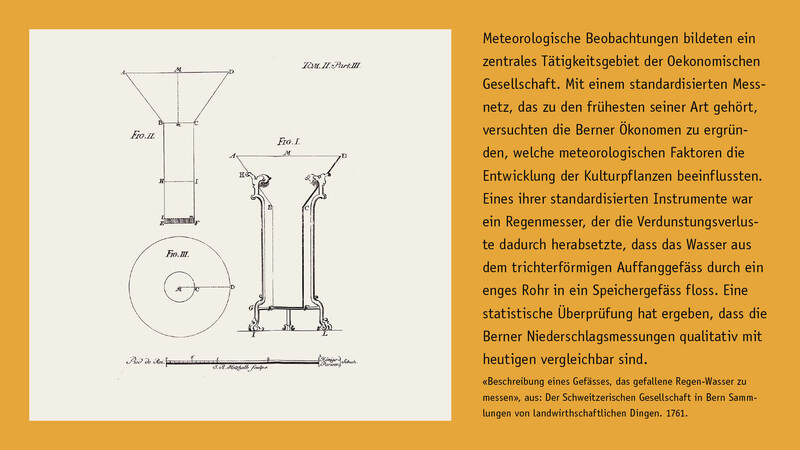 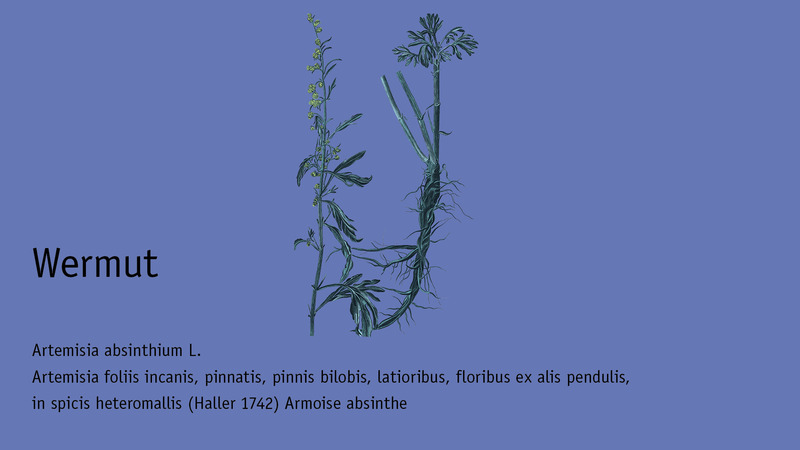 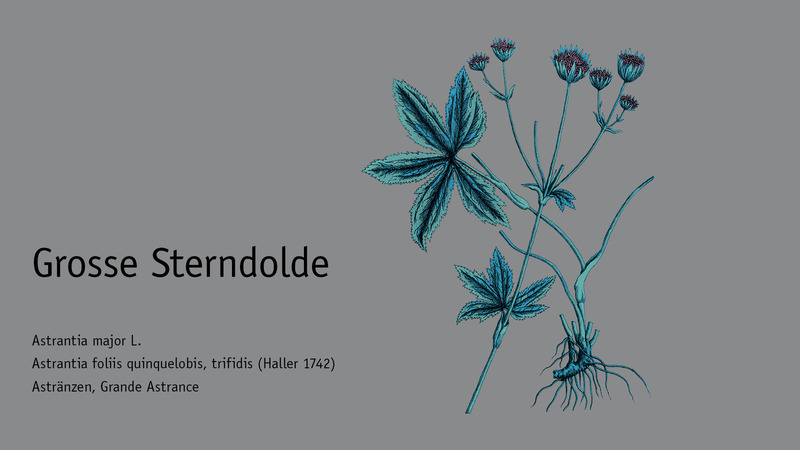 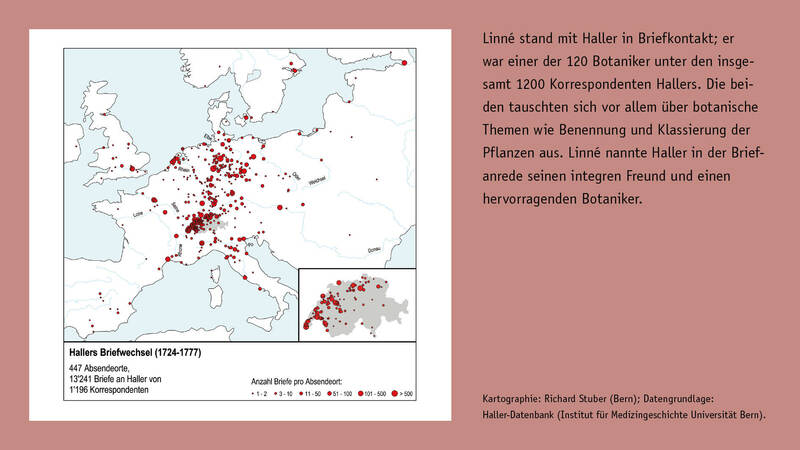 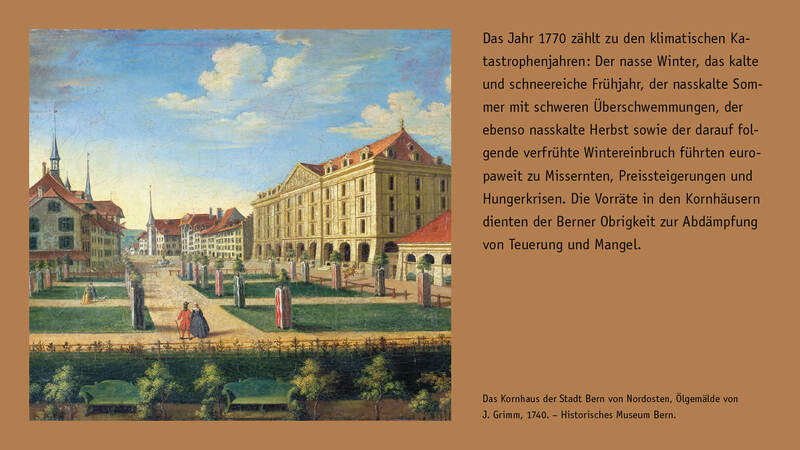 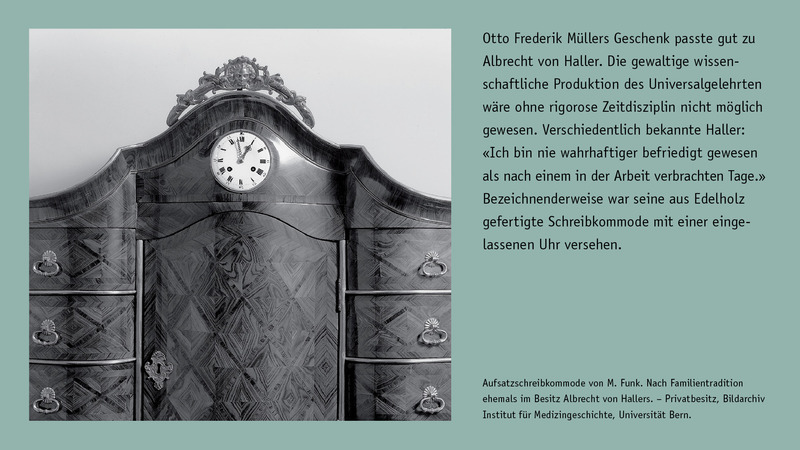 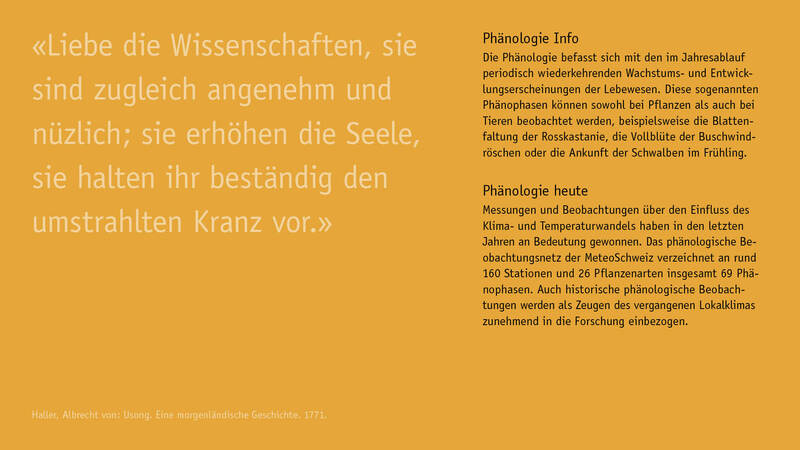 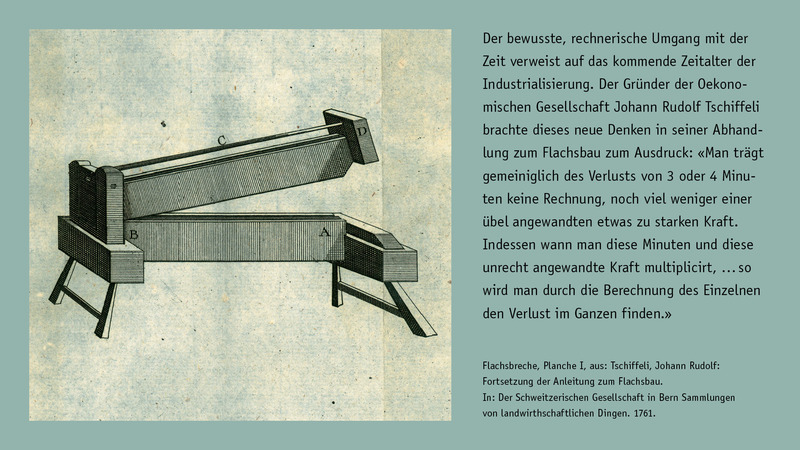 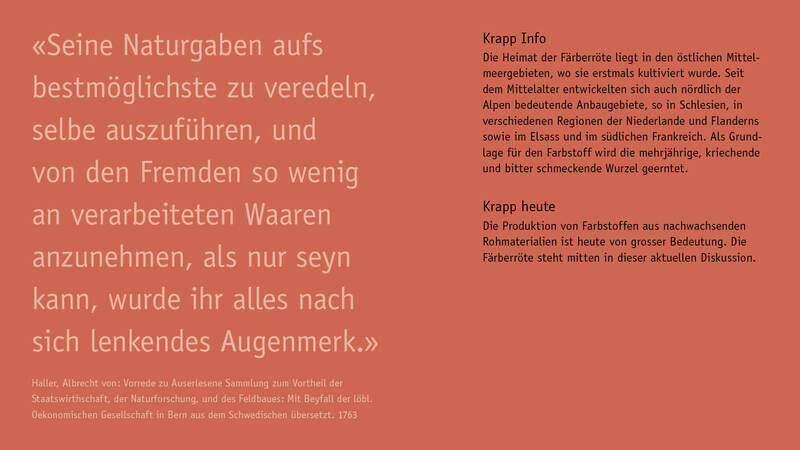 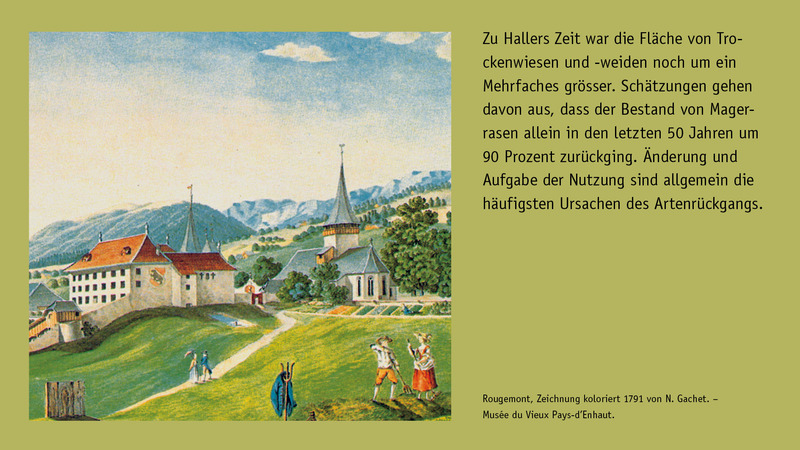 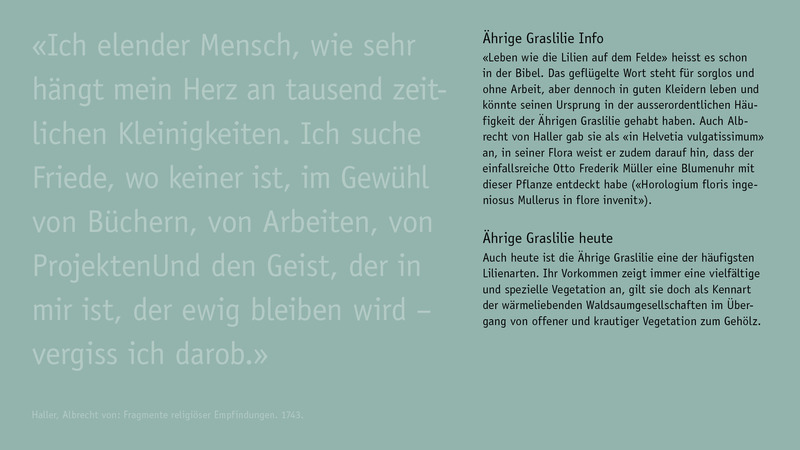 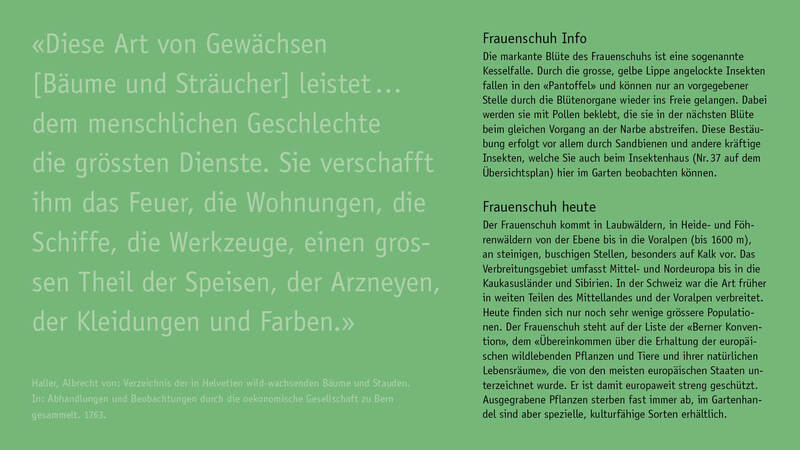 The exhibition was prepared by a project group consisting of Luc Lienhard, Martin Stuber, and Sabine Tschäppler, in cooperation with the Botanical Garden of Bern (Verena Gysin, Christian Bühler, and the BOGA team of gardeners).